Session Border Controllers ( SBC ) assist in controlling the signaling and usually also the media streams involved in calls and sessions. They are often part of a VOIP network on the border where there are 2 peer networks of service providers such as backbone network and access network of corporate communication system which is behind firewall. 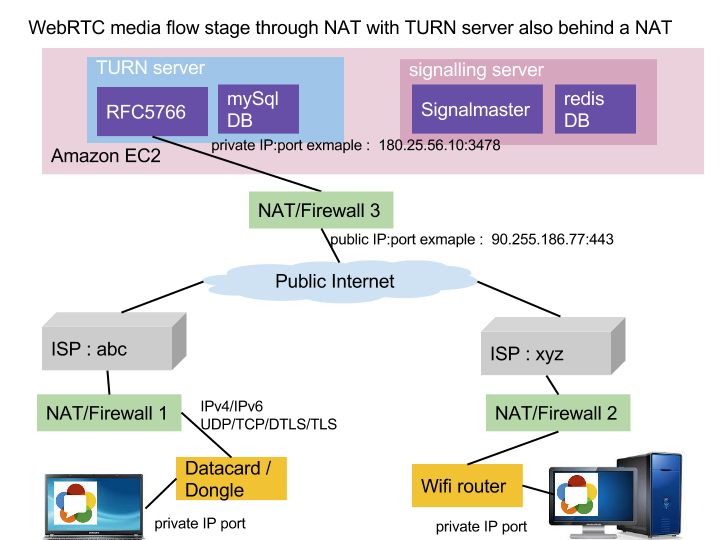 SBC act like a SIP-aware firewall with proxy/B2BUA. 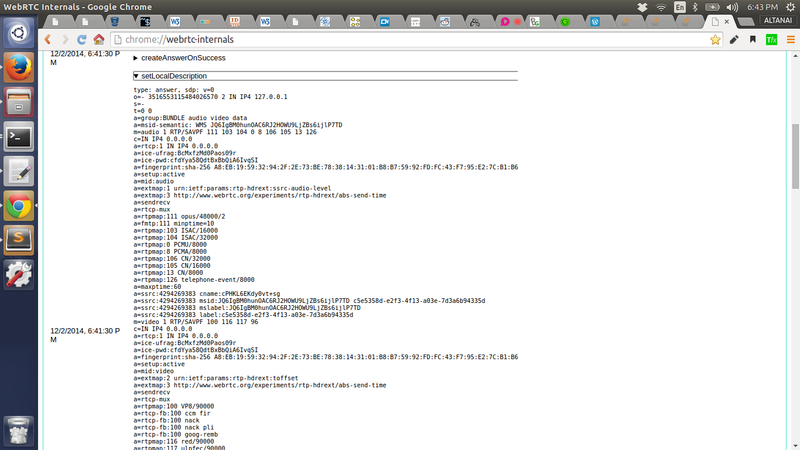 on the side facing User Agent Server (UAS) it acts as a client. B2BUAs keep state information about active dialog. Read more here . 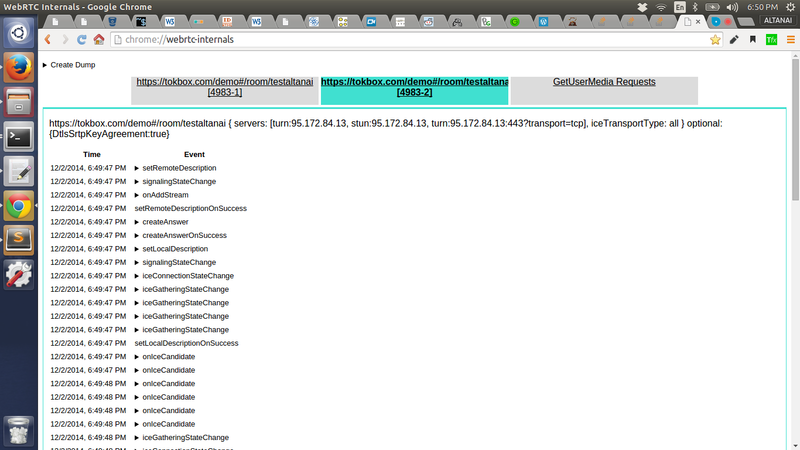 SBC mostly have public url address for teleworkers and a internal IP for enterprise/ inner LAN . 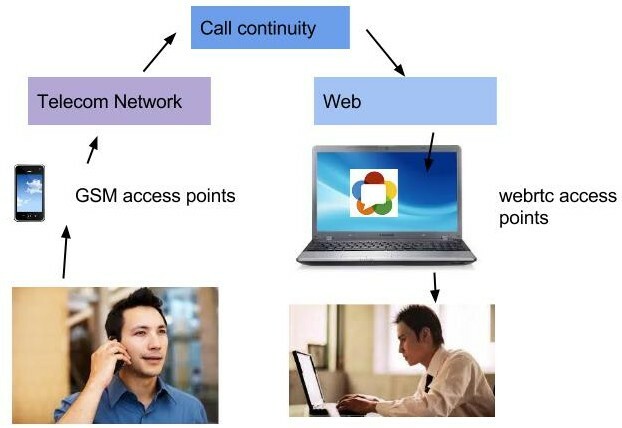 This enables users connected to enterprise LAN ( who do not have public address ) to make a call to user outside of their network. During this process SBC takes care of following while relaying packets . SBC hides and anonymize secure information like IP ports before forwarding message to outside world . This helps protect the internal node of Operators such as PSTN gateways or SIP proxies from revealing outside. Prevent malicious attacks on network such as DOS, DDos. Least Cost Routing based on MoS ( Mean Opinion Score ) : Choosing a path based on MoS is better than chooisng any random path . Protocol translations between SIP, SIP-I, H.323. In essence SBC achieve interoperability, overcoming some of the problems that firewalls and network address translators (NATs) present for VoIP calls. connectivity loss from UA for whole branch is detected by timeouts . 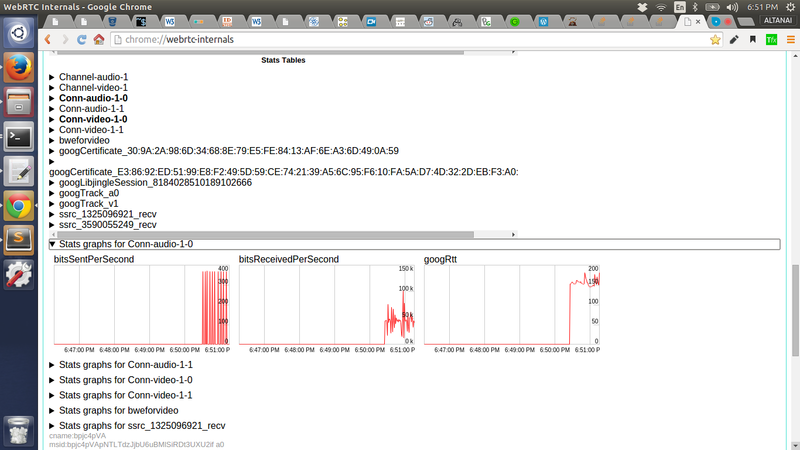 But they can also be detected by audio trough SIP OPTIONS by SBC . In such connectivity loss , SBC decides rerouting or sending back 504 to caller . Govt policies ( such as ambulance , police ) and/ or enterprise policies may require some calls to be holding priority over others . This can also be configured under SBC as emergency calls and prioritization. Some instances may require communication provider to comply with lawful bodies and provide session information or content , this is also called as Lawful interception (LI) . This enables security officials to collect specific information rather than examining all the traffic that passes through a particular router. This is also part of SBC. Many of the new generation of SBCs also provide built-in digital signal processors (DSPs) to enable them to offer border-based media control and services such as- DTMF relay , Media transcoding , Tones and announcements etc. and ability to relay VP8/VP9 and H.264 codecs. SBC have an interface with and OSS/BSS systems for billing process , as almost all traffic that pass through the edge of the network passes via SBC. For this reason it is also used to gather Statistics and usage-based information like bandwidth, memory and CPU. 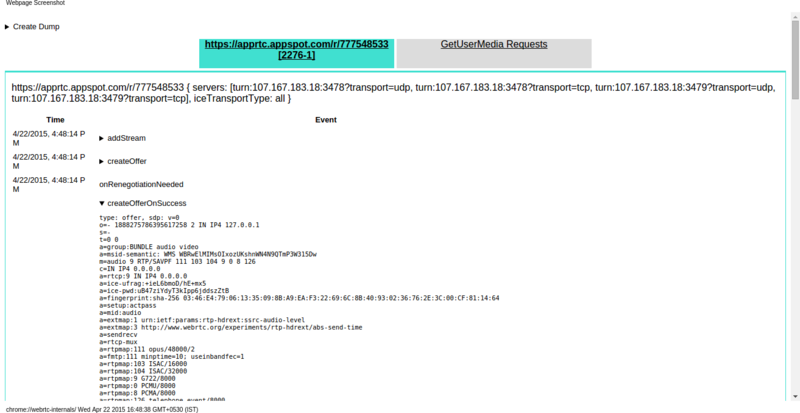 PCAP traces of both signaling and media information of specific sessions . New feature rich SBCs also have built-in digital signal processors (DSPs). Thus able to provide more control over session’s media/voice . They also add services like Relay and Interworking, Media Transcoding, Tones and Announcements, DTMF etc. Session Border Controller for WebRTC , SIP , PSTN , IP PBX and Skype for business . Gateways provide compression or decompression, control signaling, call routing, and packetizing. PSTN Gateway : Converts analog to VOIP and vice versa . Only audio no support for rich multimedia . VOIP Gateway : A VoIP Gateway acts like a translator converting digital telecom lines to VoIP . VOIP gateway often also include voice and fax. They also have interfaces to Soft switches and network management systems. 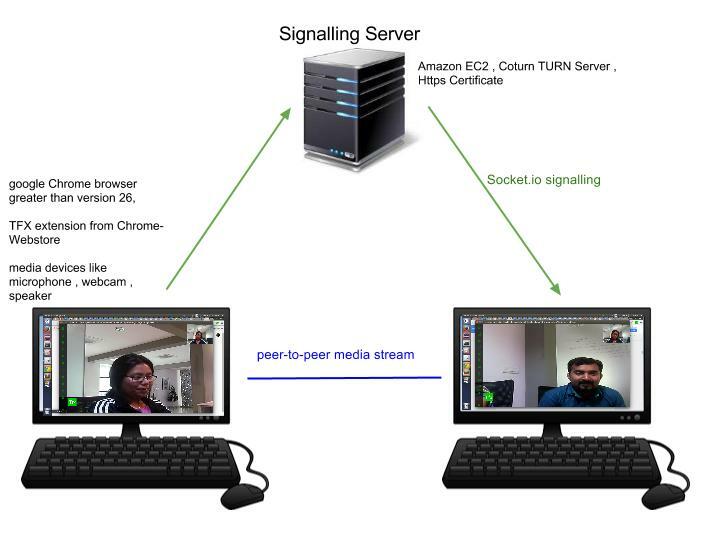 WebRTC Gateway : They help in providing NAT with ICE-lite and STUN connectivity for peers behind policies and Firewall . SIP trunking : Enterprises save on significant operation cost by switching to IP /SIP trunking in place of TDM (Time Division Multiplexing). Read more on SIP trunk and VPN here. SIP Server : A Telecom application server ( SIP Server ) is useful for building VAS ( Value Added Services ) and other fine grained policies on real time services . Read more on SIP Servers here . VOIP/SIP service Provider : There are many Worldwide SIP Service providers such as Verizon in USA , BT in europe, Swisscom in Switzerland etc . The end product should be flexible to be deployed as COTS ( Commercial Off the shelf) product or as a virtual network function in the NFV cloud. 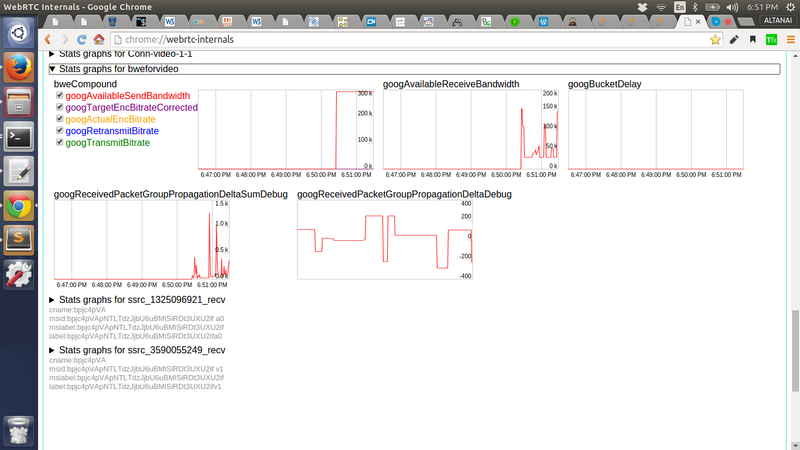 Multi Configuration , should be supported such as Hosted or Cloud deployed . Thus we see how SBC became important part of comm systems developed over SIP and MGCP. SBC offer B2BUA ( Back to Back user agent) behavior to control both signalling and media traffic. Augmented reality (AR) is viewing a real-world environment with elements that are supplemented by computer-generated sensory inputs such as sound, video, graphics , location etc. 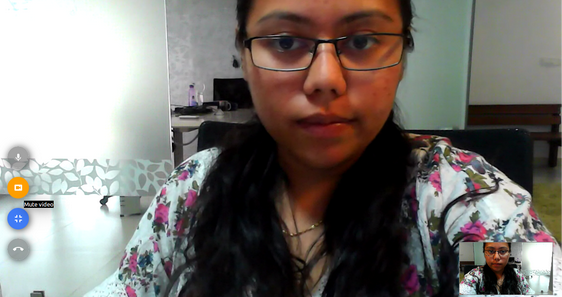 How is it diff. from Virtual Reality ? Awaiting more standardization , on a API level at the W3C and at the protocol level at the IETF. Enable browser to browser applications for voice calling, video chat and P2P file sharing without plugins. 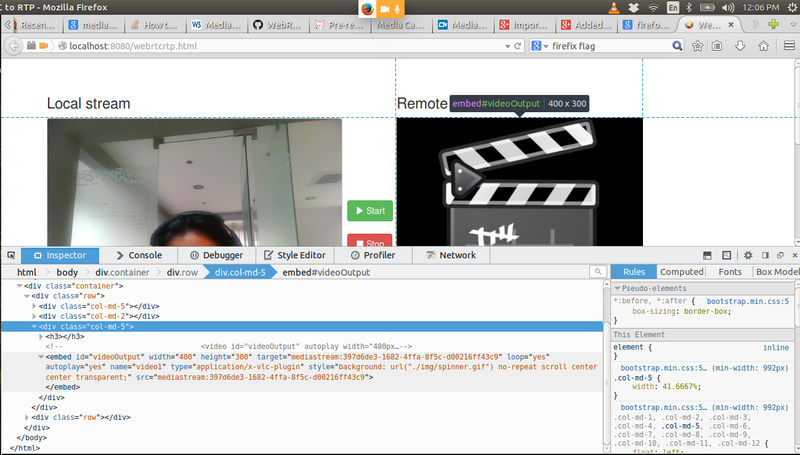 1.To begin with WebRTC we first need to validate that the browser has permission to access the webcam. 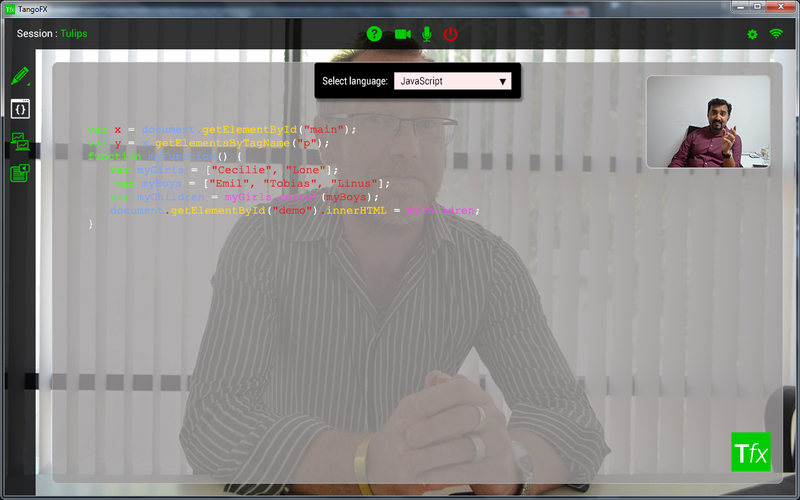 Find out if the user’s browser can use the getUserMedia API. 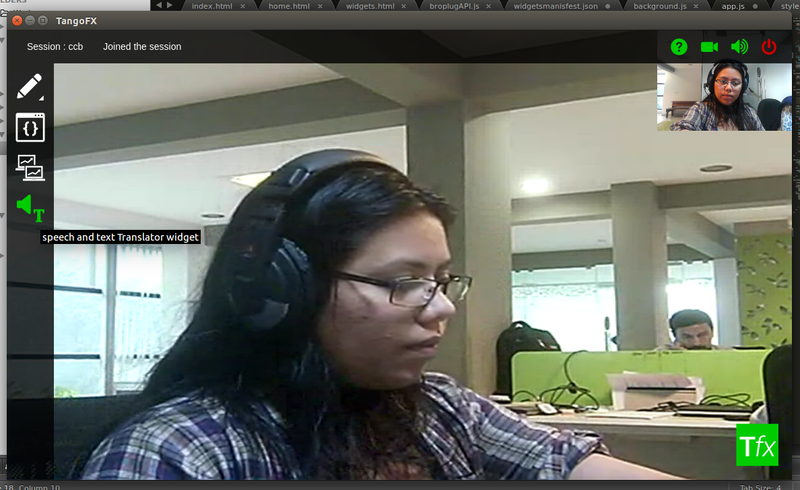 Get the stream from the user’s webcam. 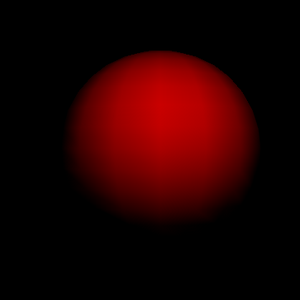 Cleary WebGL is bit tough given the amount of careful coding , mapping and shading it requires . 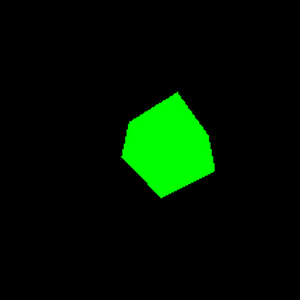 Proceeding to some JS libraries that can make 3D easy for us . 7.Add video Image Context and Texture. 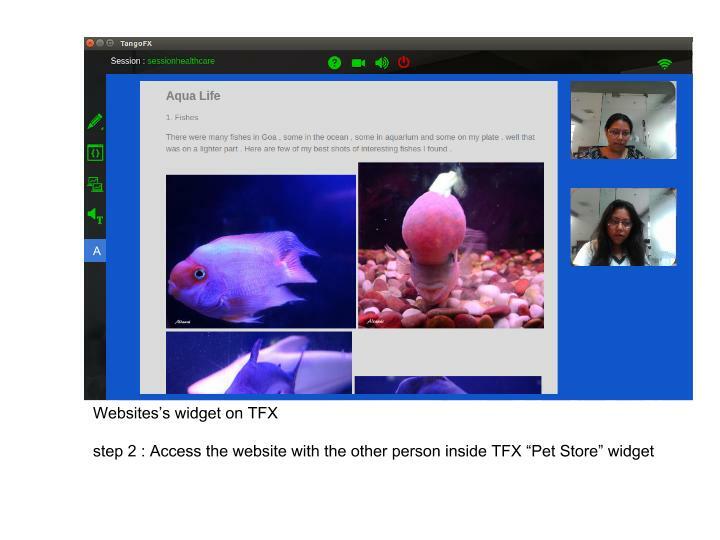 TFX is a modular widget based WebRTC communication and collaboration solution. It is a customizable solution where developers can create and add their own widget over the underlying WebRTC communication mechanism . It can support extensive set of user activity such as video chat , message , play games , collaborate on code , draw something together etc . It can go as wide as your imagination . 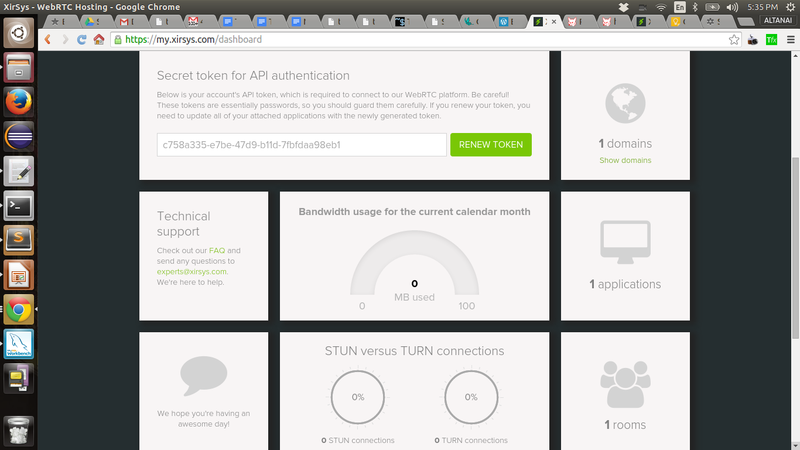 This post describes the process of creating widgets to host over existing TFX platform . It is required to have TFX Chrome extension installed and running from Chrome App Store under above . To do this follow the steps described in TangoFX v0.1 User’s manual. 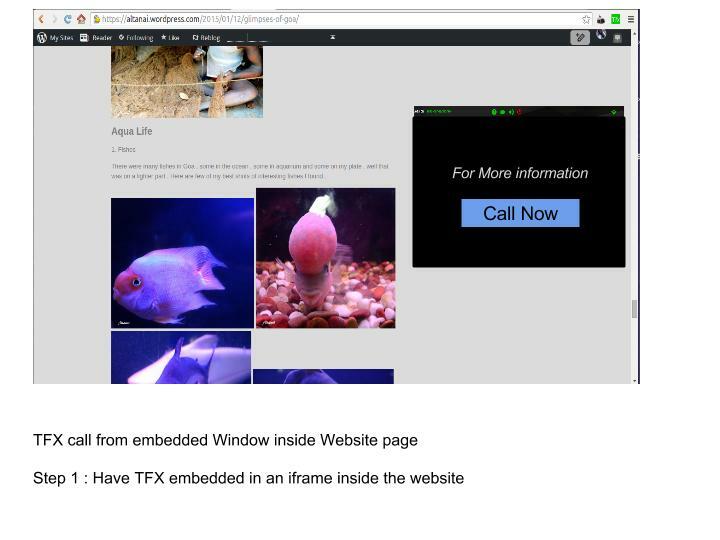 TFX Sessions uses the browser’s media API’s , like getUserMedia and Peerconnection to establish p2p media connection . Before media can traverse between 2 end points the signalling server is required to establish the path using Offer- Answer Model . This can be tested by making unit test cases on these function calls . TFX Sessions uses socketio based handshake between peers to ascertain that they are valid endpoints to enter in a communication session . This is determined by SDP ( Session Description Parameters ) . 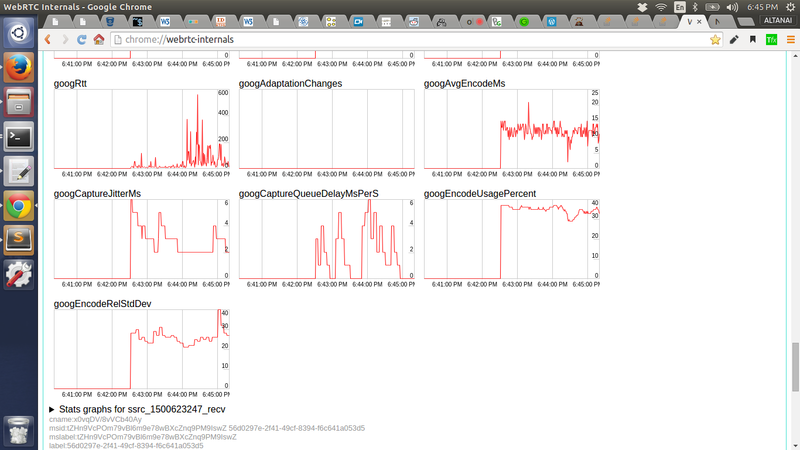 The same can be observed in chrome://webrtc-internals/ traces and graphs . How to make widgets using TFX API ? Step 1: To make widgets for TFX , just write your simple web program which should consist of one main html webpage and associated css and js files for it . Step 2 : Find an interesting idea which is requires minimal js and css . Remember it is a widget and not a full fleshed web project , however js frameworks like requirejs , angularjs , emberjs etc , work as well. Step 4 : Once the widget is performing well in standalone environment , we can add a sync file to communicate the peer behaviors across TFX network . For this we primarily use 2 methods . SendMessage : To send the data that will be traversed over DataChannel API of TFX . The content is in json format and will be shared with the peers in the session . Step 7 : Voila the widget is ready to go . step 3 : Using self made https we have have to open the url separately in browser and give it explicit permission to open in advanced setting. Make sure the original file is visible to you at the widgets url . 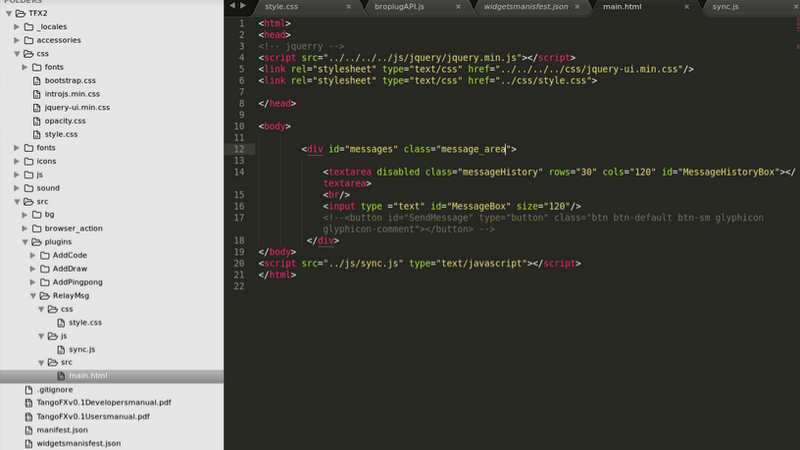 Step 5 : Rest of the process are similar to develop a regular widget ie css and js . In absence of changes to manifest file the cross origin request is meet with a Access-Control-Allow-Origin error . 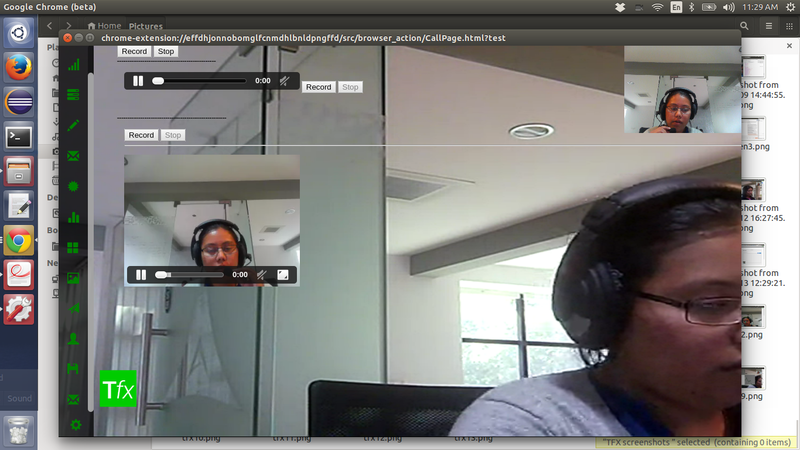 TFX is WebRTC based communication platform built entirely on open standards making it extensively scalable. The underlying API completely masks the communication aspect and lets the user enjoy an interactive communication session. 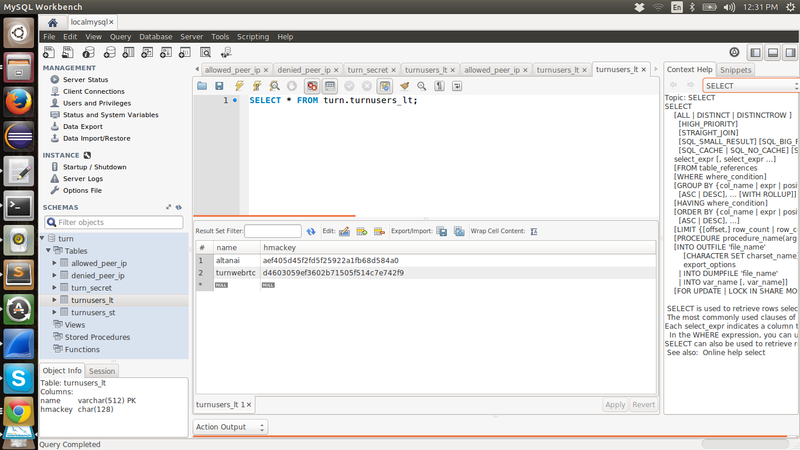 It also supports easy to build widgets framework which can be used to build applications on the TFX platform . TFX sessions is a part of TFX . 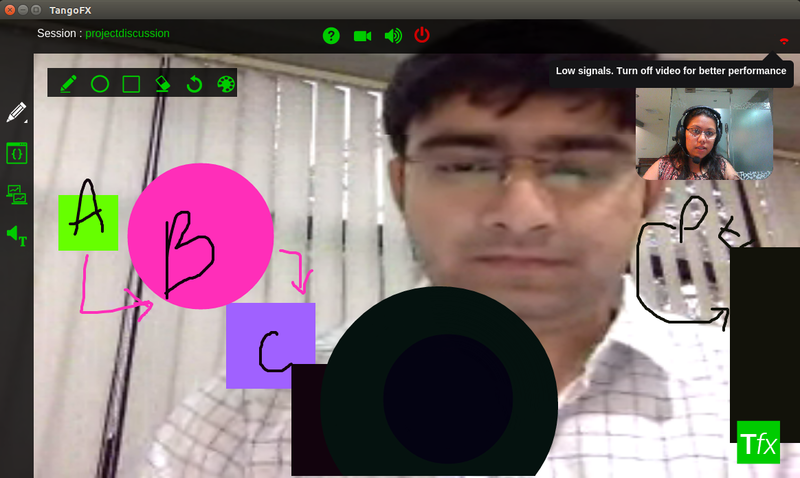 It is a free Chrome extension WebRTC client that enables parties communicating and collaborating, to have an interactive and immersive experience. You can find it on Chrome Webstore here . 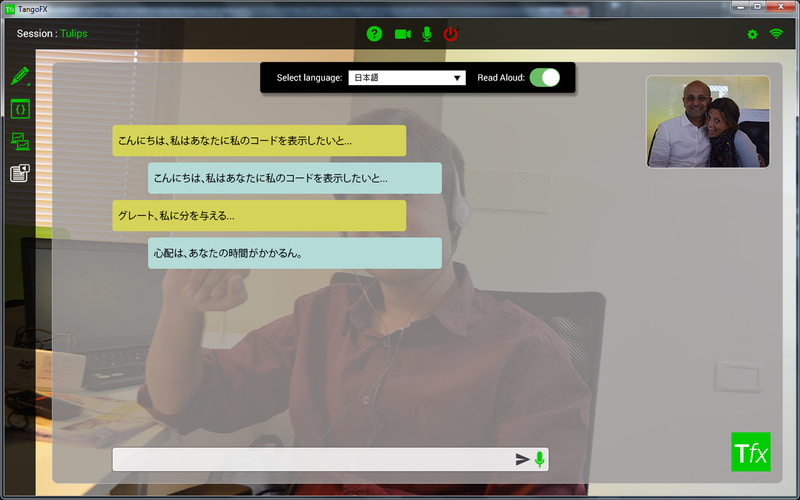 Through TFX, users can have instant multimedia Internet call sessions . 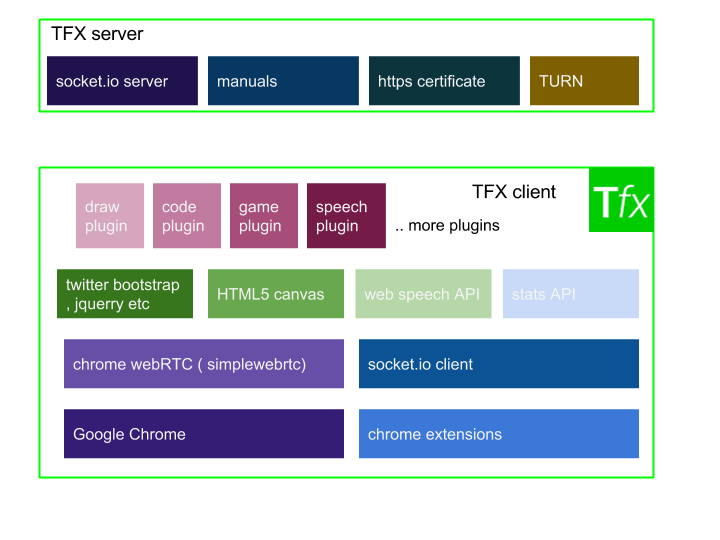 TFX sessions is free for personal use and can be downloaded from Chrome Webstore. What is the differentiator with other internet call services? Communication is directly between peer to peer ie information privacy. Third party apps , services can be included as widgets on TFX platform. Can be skimmed to be embedded inside Mobile app webview , iframe, other portals etc anytime . WebSite’s widget on TFX chrome extension . 1. WebSite’s widget on TFX chrome extension . This outlines the quickest deliverable approach of building the websites own customized widget on TFX widgets API and deployed on existing TFX communication setup . This approach outlines the process of launching TFX in an independent window from a click of a button on website. However it is a prerequisite to have TFX extension installed on your Chrome browser beforehand. Step 2 : Make session on click of button inside the iframe. malicious webpages can lure users via advertising and execute auto calling services . If program and APIs allow the server to instruct the browser to send arbitrary content, then they can be used to bypass firewalls or mount denial of service attacks. WEB ATTACKERS are who induce users to visit their sites but do not control the network.NETWORK ATTACKERS are who are able to control network. When analyzing HTTP connections, we must assume that traffic is going to the attacker. The users computer may have lot of private and confidential data on the disk . Browser do make it mandatory that user must explicitly select the file and consent to its upload before doing file upload and transfer transactions . However still it is not very rare that misleading text and buttons can make users click files . Another way of accessing local resources is through downloading malicious files to users computer which are executable and may harm users computer . 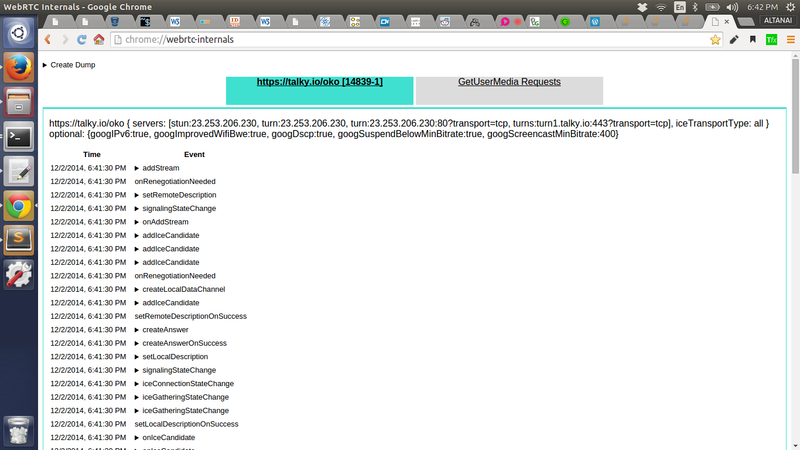 SOP forces scripts from each site to run in their own, isolated, sandboxes. It enables webpages and scripts from the same origin server to interact with each other’s JS variables, but prevents pages from the different origins or even iframes on the same page to not exchange information. As part of SOP scripts are allowed to make HTTP requests via the XMLHttpRequest() API to only those server which have same ORIGIN/domain as that of the originator . 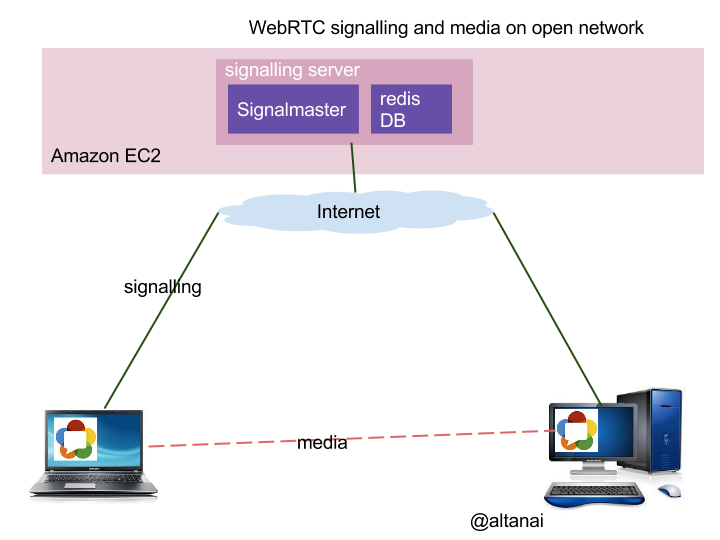 CORS enables multiple web services to intercommunicate . Therefore when a script from origin A executes what would otherwise be a forbidden cross-origin request, the browser instead contacts the target server B to determine whether it is willing to allow cross-origin requests from A. If it is so willing, the browser then allows the request. This consent verification process is designed to safely allow cross-origin requests. Even websockets overcome SOP and establish cross origin transport channels . Once a WebSockets connection has been established from a script to a site, the script can exchange any traffic it likes without being required to frame it as a series of HTTP request/response transactions. WebSockets use masking technique to randomize the bits that are being transmitted , thus making it more difficult to generate traffic which resembles a given protocol , thus making it difficult for inspection from flowing traffic . There have been found vulnerabilities in the existing Java and Flash consent verification techniques and handshake. Sender and receiver are able to share media stream after a offer answer handshake. But we already need one in order to do NAT hole-punching. Presuming the ICE server is malicious , in absence of transaction IDs by stun unknow to call scripts , it is not possible for the webpage of receiver to ascertain is the data is forged or original . Thus to prevent this the browser must generate hidden transaction Id’s and should not sharing with call scripts ,even via a diagnostic interface. As soon as the callee sends their ICE candidates, the caller learns the callee’s IP addresses. The callee’s server reflexive address reveals a lot of information about the callee’s location. To prevent server should suppress the start of ICE negotiation until the callee has answered. Also user may hide their location entirely by forcing all traffic through a TURN server. Goal of webrtc based call services should be to create channel which is secure against both message recovery and message modification for all audio / video and data . With the increasing requirement of screen sharing in web app and communication systems there is always a high threat of oversharing / exposing confidential passwords , pins , security details etc . This may either through some part of screen or some notification whihc pops up . 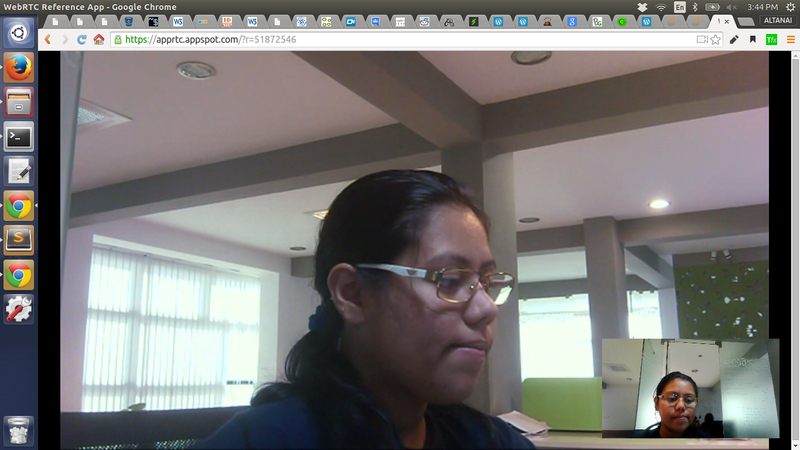 There is always the case when the user may believe he is sharing a window when in fact they are the entire desktop. The attacker may request screensharing and make user open his webmail , payment settings or even net-banking accounts . When user frequently uses a site he / she may want to give the site a long-term access to the camera and microphone ( indicated by ” Always allow on this site ” in chrome ). However the site may be hacked and thus initiate call on users’ computer automatically to secretly listen-in . Unless the user checks his laptops glowing camera light LED or goes and monitors the traffic himself he would not know if there is active call in background, which according to him he had cut off . In such a case an attacker may pretend to cut a call shows red phone signs and supportive text but still keep the session and media stream active placing himself on mute . Even if the calling service cannot directly access keying material ,it can simply mount a man-in-the-middle attack on the connection. The idea is to mount a bridge capturing all the traffic. To protect against this it is now mandatory to use https for using getusermedia and otherwise also recommended to keep webrtc comm services on https or use strict fingerprinting . How can I make my WebRTC solution secure? Since I have already covered these topics here( https://altanaitelecom.wordpress.com/2014/10/03/security-for-webrtc-applications/ ) I will not repeat the same here. This post is about making WebRTC secure so that they can be used inn area which require sensitive data to be communicated and need to be secure enough to withstand and hacks and attacks. In the recent months everyone has been trying to get into the WebRTC space but at the same time fearing that hackers might be able to listen in on conferences, access user data, or even private networks. Although development and usage around WebRTC is so simple , the security and encryption aspects of it are in the dim light. So does existing WebRTC model offer security ? We know that the forces behind WebRTC standardization are WHATWG, W3C, IETF and strong internet working groups . WebRTC security was already taken into consideration when standards were being build for it . The encryption methods and technologies like DTLS and SRTP were included to safeguard users from intrusions so that the information stays protected. For WebRTC to transfer real time data, the data is first encrypted using the DTLS (Datagram Transport Layer Security) method. 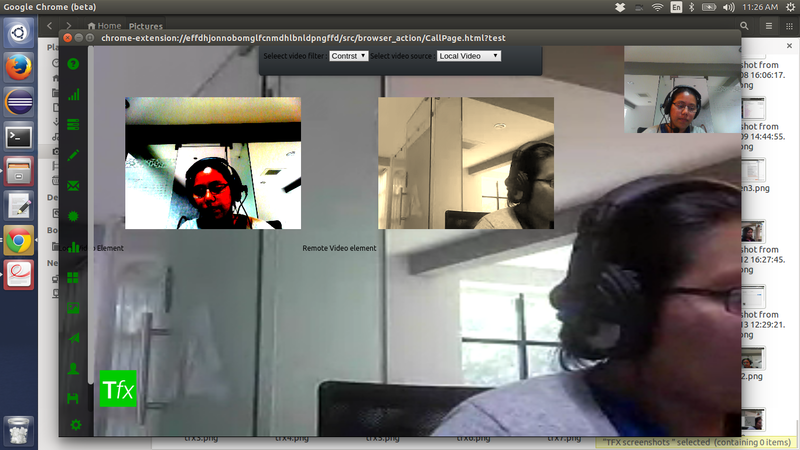 This is a protocol built into all the WebRTC supported browsers from the start (Chrome, Firefox and Opera). On a DTLS encrypted connection, eavesdropping and information tampering cannot take place. Other than DTLS, WebRTC also encrypts video and audio data via the SRTP (Secure Real-Time Protocol) method ensuring that IP communications – your voice and video traffic – can not be heard or seen by unauthorized parties. 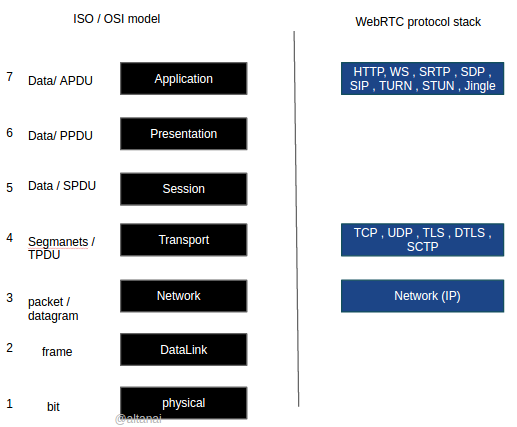 The Secure Real-time Transport Protocol (or SRTP) defines a profile of RTP (Real-time Transport Protocol), intended to provide encryption, message authentication and integrity, and replay protection to the RTP data in both unicast and multicast applications. Earlier models of VOIP communication such as SIP based calls had an option to use only RTP for communication thereby subjecting the endpoint users to lot of problem like compromising media Confidentiality . 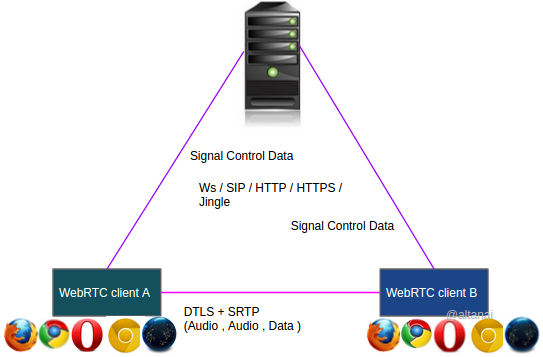 However the WebRTC model mandates the use of SRTP hence ruling out insecurities of RTP completely. For encryption and decryption of the data flow SRTP utilizes the Advanced Encryption Standard (AES) as the default cipher. DTLS allows datagram-based applications to communicate in a way that is designed to prevent eavesdropping, tampering, or message forgery. The DTLS protocol is based on the stream-oriented Transport Layer Security (TLS) protocol . Together DTLS and SRTP enables the exchange of the cryptographic parameters so that the key exchange takes place in the media plane and are multiplexed on the same ports as the media itself without the need to reveal crypto keys in the SDP. Today the browser acts as a TRUSTED COMPUTING BASE (TCB) where the HTML and JS act inside of a sandbox that isolates them both from the user’s computer. A script cannot access user’s webcam , microphone , location , file , desktop capture without user’s explicit consent. When the user allows access, a red dot will appear on that tab, providing a clear indication to the user, that the tab has media access. 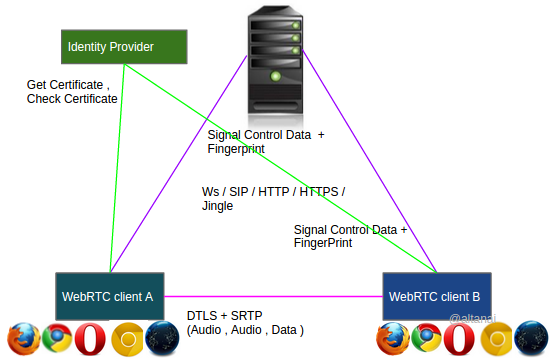 Figure depicting browser asking for user’s consent to access Media devices for WebRTC . Figure depicting Media Capture active on browser with red dot . we know that XMLHttpRequest() API can be used to secretly send data from one origin to other and this can be used to secretly send information without user’s knowledge . However now , SAME ORIGIN POLICY (SOP) in browser’s prevents server A from mounting attacks on server B via the user’s browser, which protects both the user (e.g., from misuse of his credentials) and the server B (e.g., from DoS attack). If the both the peers have WebRTC browser then one can place a WebRTC call to callee anytime this might result in denial of service . Since the media is p2p and also can override firewalls settings through TURN server , it can result in unwanted data being send to peer . One may secretly make calls to users through website and extract information . Threat from screen sharing, for example user might mistakenly share his internet banking screen or some confidential information. Giving long-term access to the camera and microphone for certain sites is also a concern . for example : since next time you visit a site that has access to your microphone and camera , they can secretly be viewing youe webcam and microphone inputs . Clever use of User Interface to mask a ongoing call can mislead the user into believing that call has been cut while it is secretly still ongoing. Network attackers can modify an HTTP connection through my Wifi router or hotspot to inject an IFRAME (or a redirect) and then forge the response to initiate a call to himself. 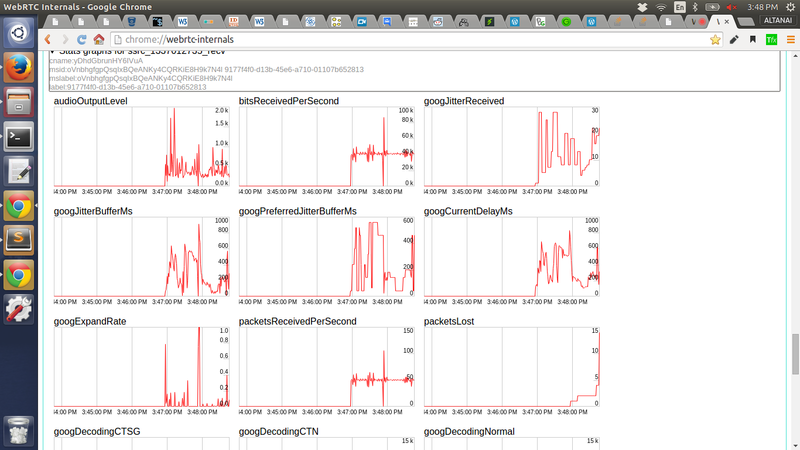 As WebRTC doesn’t yet have an congestion control mechanism , it can eat up a large chunk of user’s bandwidth. 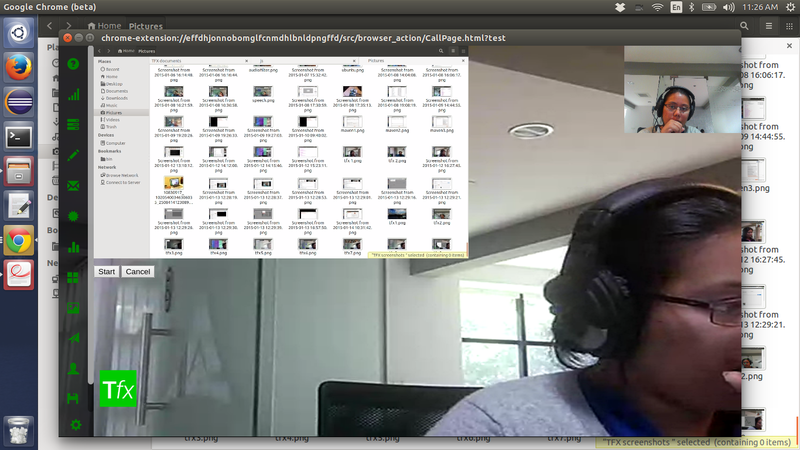 By visiting chrome://webrtc-internals/ in chrome browser alone , one can view the full traces of all webRTC communication happening through his browser . 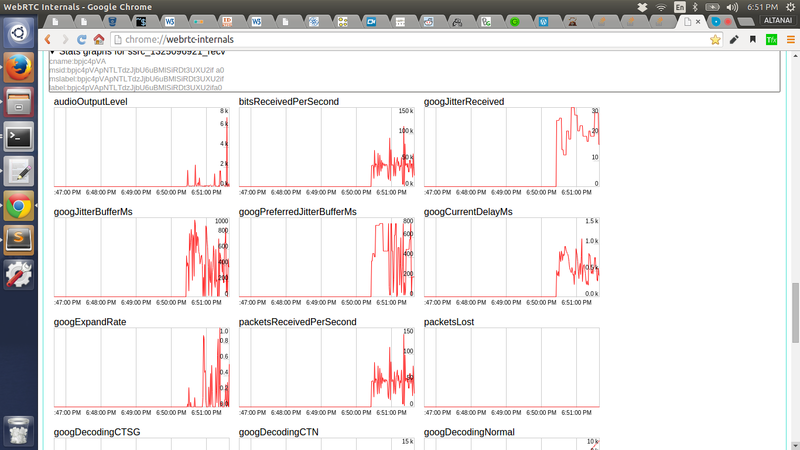 The traces contain all kinds of details like signalling server used , relay servers , TURN servers , peer IP , frame rates etc . 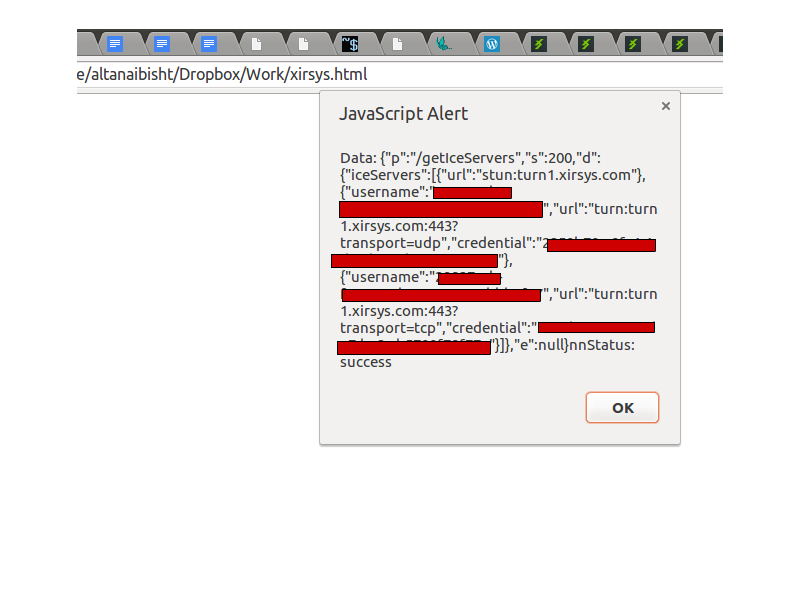 Malicious Websites which automatically execute the attacker’s scripts. User can be induced to download harmful executable files and run them. 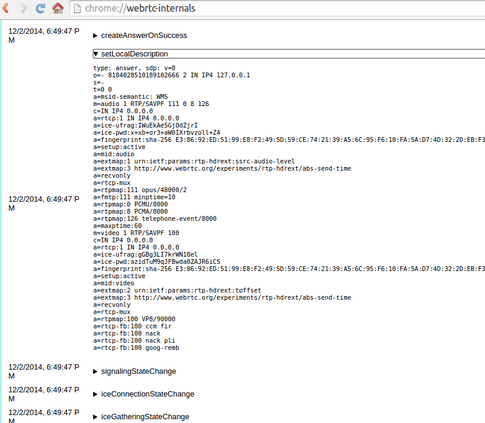 Improper use of W3C Cross-Origin Resource Sharing (CORS) to bypass SAME ORIGIN POLICY (SOP) . By following the simple steps described below one can ensure a more secure WebRTC implementation . The same applies to healthcare and banking firms looking forth to use WebRTC as a communication solution for their portals . 1. Ensure that the signalling platform is over a secure protocol such as SIP / HTTPS / WSS . 2. User’s that can participate in a call , should be pre registered / Authenticated with a registrar service. Unauthenticated entities should be kept away from session’s reach . 2. Make sure that ICE values are masked thereby not rendering the caller/ callee’s IP and location to each other through tracing in chrome://webrtc-internals/ or packet detection in Wirehsark on user’s end. 4. As the signalling server maintains the number of peers , it should be consistently monitored for addition of suspicious peers in a call session. If the number of peers actually present on signalling server is more that the number of peers interacting on WebRTC page then it means that someone is eavesdropping secretly and should be terminated from session access by force. 6. To protect against Man-In-The-Middle (MITM) attack the media path should be monitored regularly for no suspicious relay. 7. 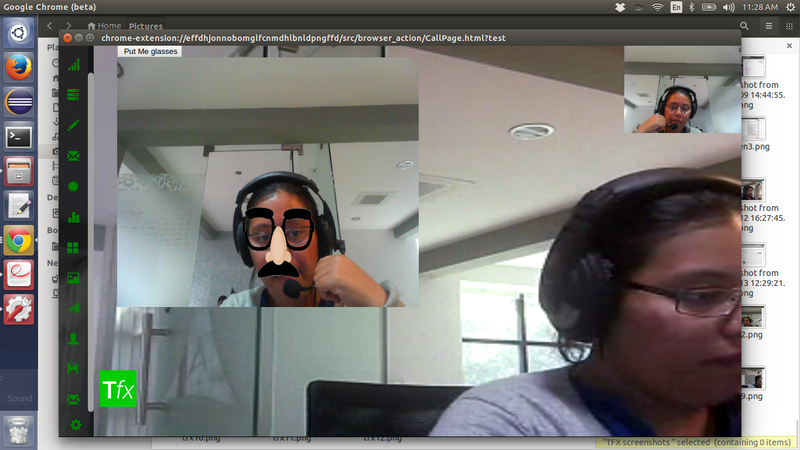 Third party API should be thoroughly verified before sending their data on WebRTC DataChannel. 8. Before Desktop Sharing user’s should be properly notified and advised to close any screen containing sensitive information . What happens if your VOIP solution is on the verge of being compromised ? As the media connections are p2p , even if we restart the signalling server , it will not affect the ongoing media sessions . Only the time duration ( probably 3 – 4 minutes ) it takes to restart the server , is when the users will not be able to connect to signalling server for creating new sessions . Most browsers today like Google Chrome and Mozilla Firefox have a goof record of auto-updating themselves withing 24 hours of a vulnerability of threat occurring . If a call is confirmed to be compromised , it should be within the power of Web Application server rendering the WebRTC capable page to cut off the call . 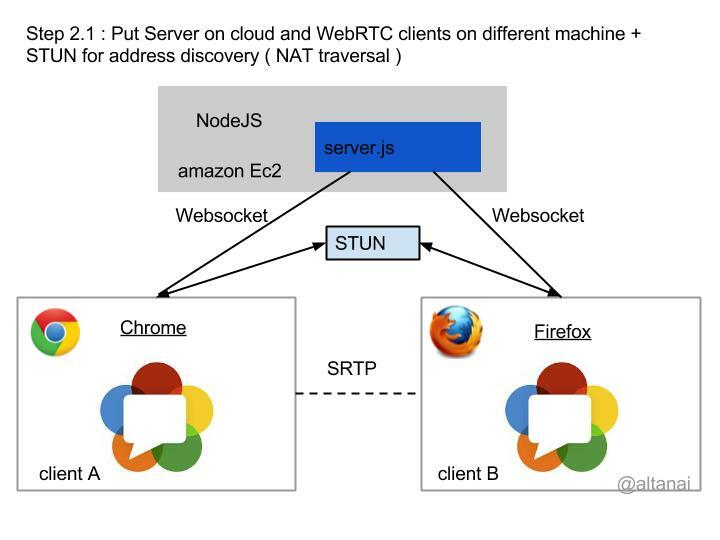 STUN (Session Traversal Utilities for NAT) and TURN (Traversal Using Relays around NAT) are protocols that can be used to provide NAT traversal for VoIP and WebRTC. These projects provide a VoIP media traffic NAT traversal server and gateway. 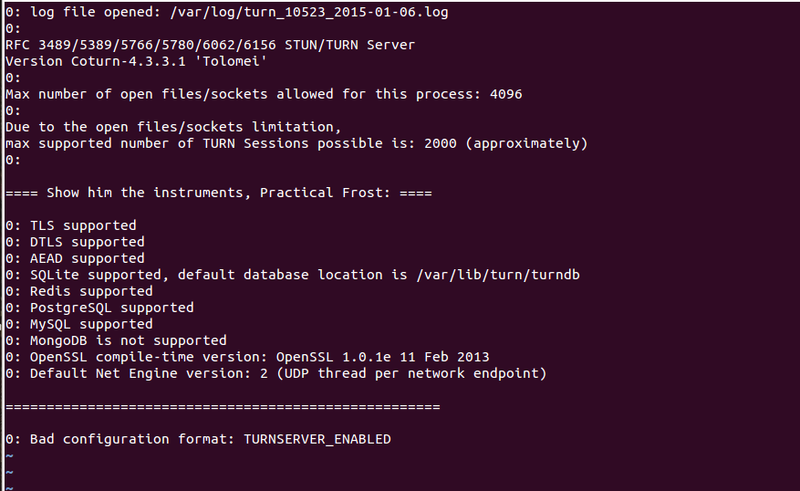 TURN Server is a VoIP media traffic NAT traversal server and gateway. I come accross the question of difference between turn and stun a lot . Here I wanted to specify in very clear words that TURN is an extension of STUN . This is a VoIP gateway for inter network communication which is popular and MIT based . Any client platform is supported, including Android, iOS, Linux, OS X, Windows, and Windows Phone. This project can be successfully used on other *NIX platforms ( Aamazon EC2) too. It supports flat file or Database based user management system ( MySQL , postgress , redis ). The source code project contains , TURN server , TURN client messaging library and some sample scripts to test various modules like protocol , relay , security etc . protocols between the TURN client and the TURN server – UDP, TCP, TLS, and DTLS. Relay protocol – UDP , TCP . 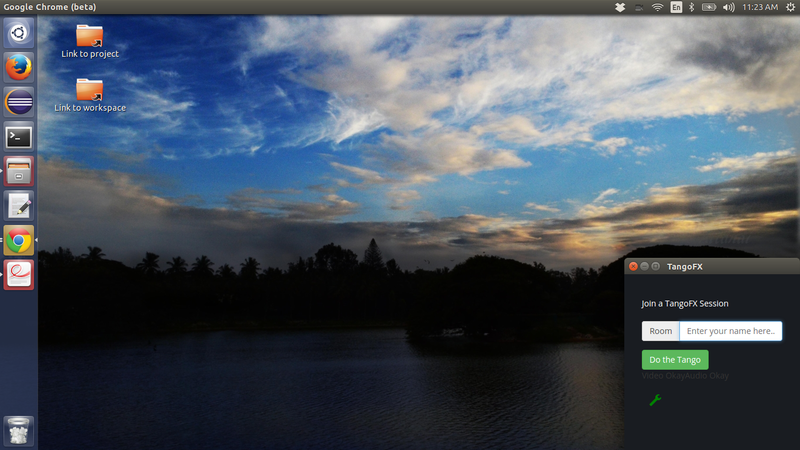 Since I used my Ubuntu Software center for installing the RFC turn server 5677 . 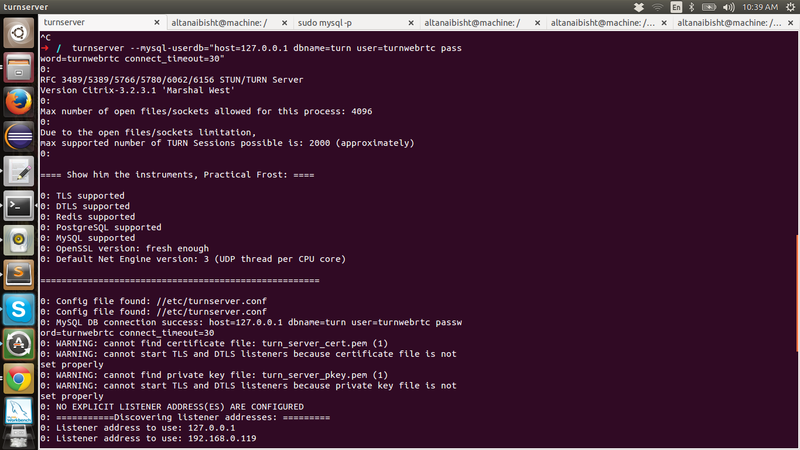 The content got stored inside /usr/share/rfc5766-turn-server. emulates multiple UDP,TCP,TLS or DTLS clients. simple stateless UDP-only “echo” server. 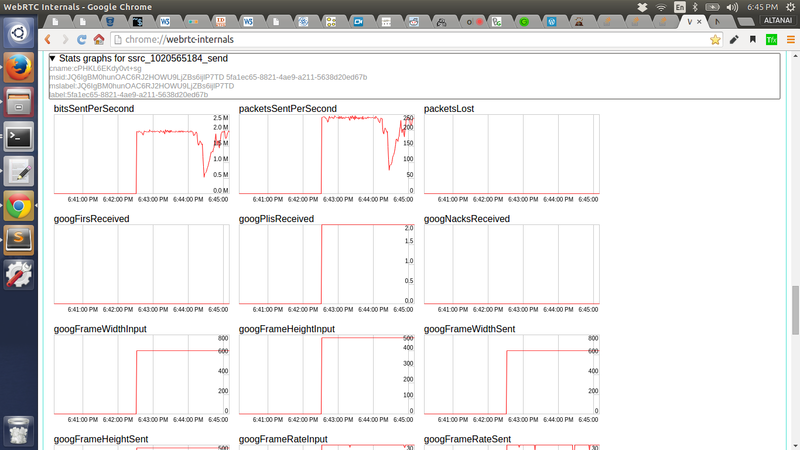 For every incoming UDP packet, it simply echoes it back. simple STUN client example that implements RFC 5389 ( using STUN as endpoint to determine the IP address and port allocated to it , keep-alive , check connectivity etc) and RFC 5780 (experimental NAT Behavior Discovery STUN usage) . checks the correctness of the STUN/TURN protocol implementation. This program will perform several checks and print the result on the screen. It will exit with 0 status if everything is OK, and with (-1) if there was an error in the protocol implementation. 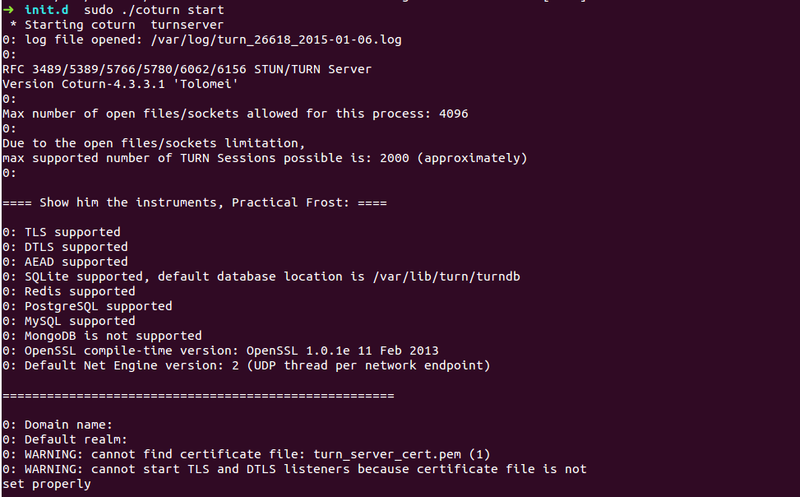 RFC 5389 – STUN serves as a tool for other protocols in NAT traversal. It can be used by an endpoint to determine the IP address and port allocated to it , keep-alive , check connectivity etc . 2. TURN functionality test (bare minimum TURN example). Insert the above piece of code on peer connection config . Now call from one network environment to another . For example call from a enterprise network behind a Wifi router to a public internet datacard webrtc agent . The call should connect with video flowing smoothly between the two . Project Coturn evolved from rfc5766-turn-server project with many new advanced TURN specs beyond the original RFC 5766 document. 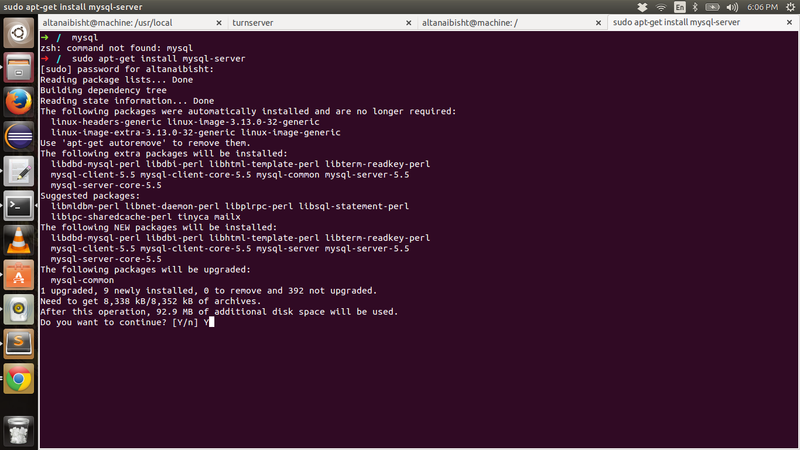 Install libopenssl and libevent plus its dev or extra libraries . OpenSSL has to be installed before libevent2 for TLS beacuse When libevent builds it checks whether OpenSSL has been already installed, and its version. Datagram Transport Layer Security (DTLS) as Transport for Traversal Using Relays around NAT (TURN) . It facilitate the resolution of TURN URIs into the IP address and port of TURN servers supporting DTLS as a transport protocol. Mobile ICE (MICE) – Mobility with TURN . It minimizes traffic disruption caused by changing IP address during a mobility event by shorter network path . 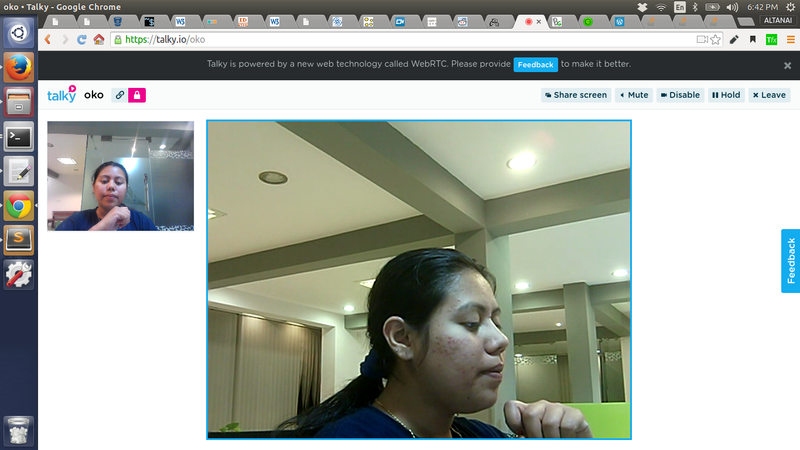 Xirsys is a provider for WebRTC infrastructure which included stun and turn server hosting as well . The process of using their services includes singing up for a account and choosing whether you want a paid service capable of handling more calls simultaneously or free one handling only upto 10 concurrent turn connections . To receive the api one need to make a one time call to their service , the result of which contains the keys to invoke the turn services from webrtc script . WebRTC has enabled developers to build apps/ sites / widgets / plugins capable of delivering simultaneous voice/video/data/screen-sharing capability in a peer to peer fashion. But something which escapes our attention is the way in which media ia traversing across the network. 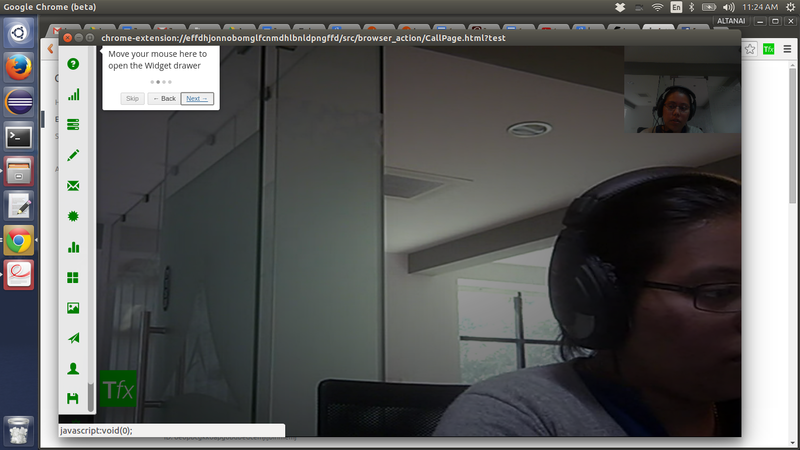 Ofcourse the webrtc call runs very smoothly when both the peers are on open public internet without any restrictions or firewall blocks . But the real problem begins when one of the peer is behind a Corporate/Enterprise network or using a different Internet service provider with some security restrictions . In such a case the normal ICE capability of WebRTC is not enough , what is required is a NAT traversal mechanism . 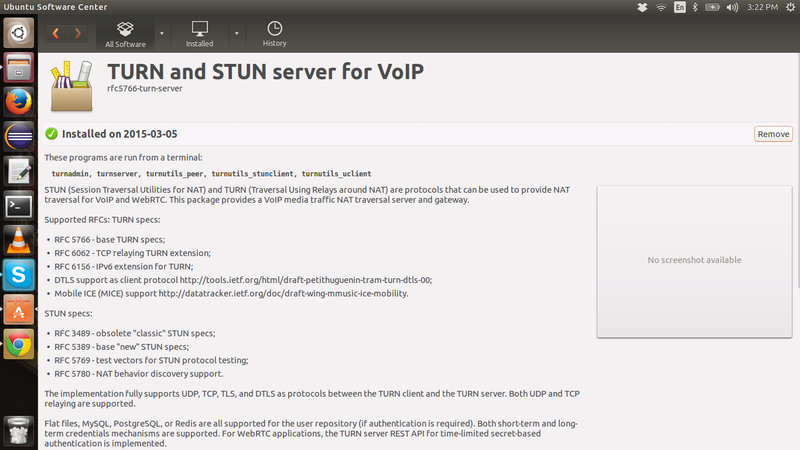 STUN and TURN server protocols handle session initiations with handshakes between peers in different network environments . In case of a firewall blocking a STUN peer-to-peer connection, the system fallback to a TURN server which provides the necessary traversing mechanism through the NAT. Lets study from the start ie ICE . What is it and why is it used ? ICE is defined by RFC 5245 – Interactive Connectivity Establishment (ICE): A Protocol for Network Address Translator (NAT) Traversal for Offer/Answer Protocols. However incase both sides are symmetric NATs the media flow gets blocked. For such a case TURN is used which tries to give a public ip and port mapped to internal ip and port so as to provide an alternative routing mechanism like a packet-mirror. It can open a DTLS connection and use it to key the SRTP-DTLS media streams, and to send DataChannels over DTLS. 1 . No Firewall present on either peer . Both connected to open public internet . In this case there is no restriction to signal or media flow and the call takes places smoothly in p2p fashion. 2. Either one or both the peer ( could be many in case of multi conf call ) are present behind a firewall or restrictive connection or router configured for intranet . However the media is restricted resulting in a black / empty / no video situation for both peers . To combat such situation a relay mechanism such as TURN is required which essentially maps public ip to private ips thus creating a alternative route for media and data to flow through . 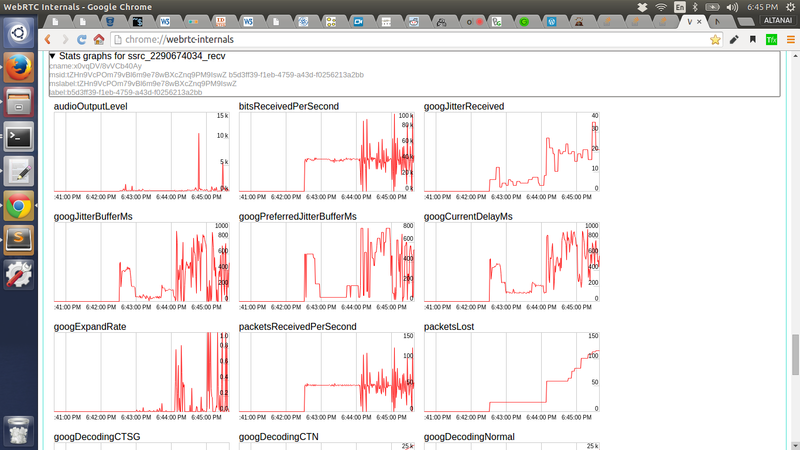 WebRTC media flow when peers are behind NAT and TURN server is behind NAT as well . TURN config files bind a public interface to private interface address . 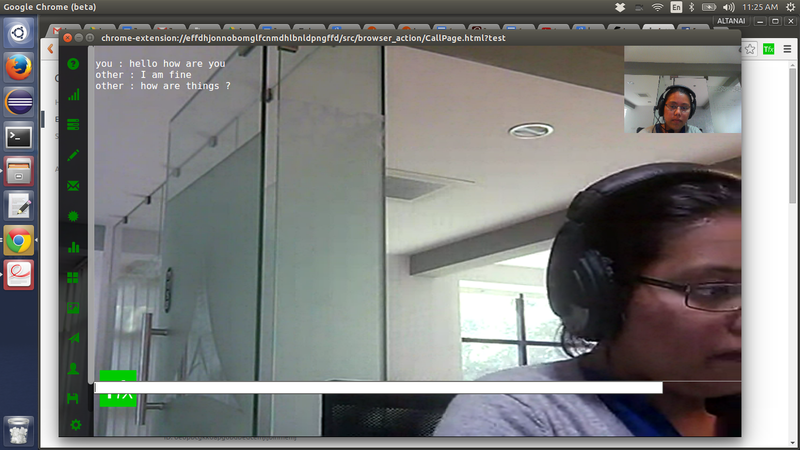 Problems : No streaming server is qualified to handle a direct webrtc input and stream it on network . 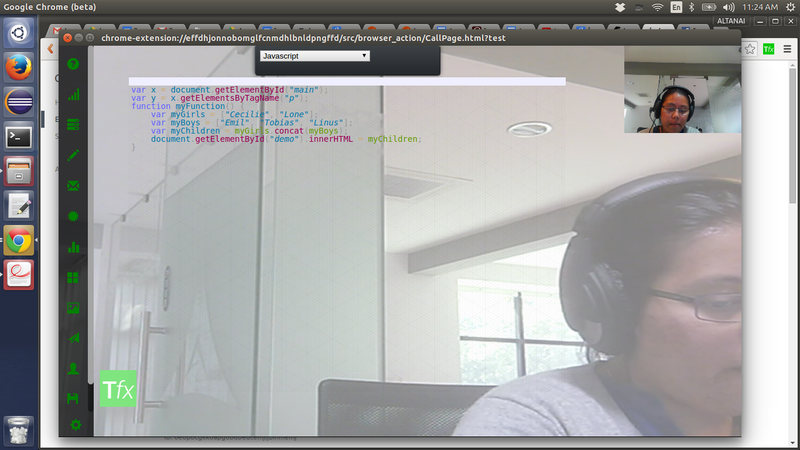 Attempt 4.1 : Stream the content to a WebRTC endpoint . 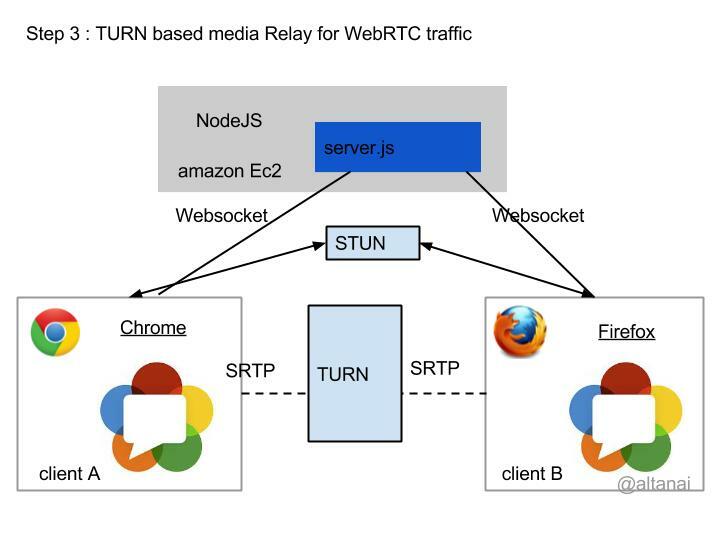 Do WebRTC Endpoint to RTP Endpoint bridge using Kurento APIs. Use the RTP port and ip address to input into a ffmpeg or gstreamer or VLC terminal command and out put a live H264 stream on another ip and port address . The stream was black ie no video content . Attempt 4.2 : Build a WebRTC Endpoint to Http endpoint in kurento and force the video audio encoding to be that of H264 and PCMU. In process . to be updated . 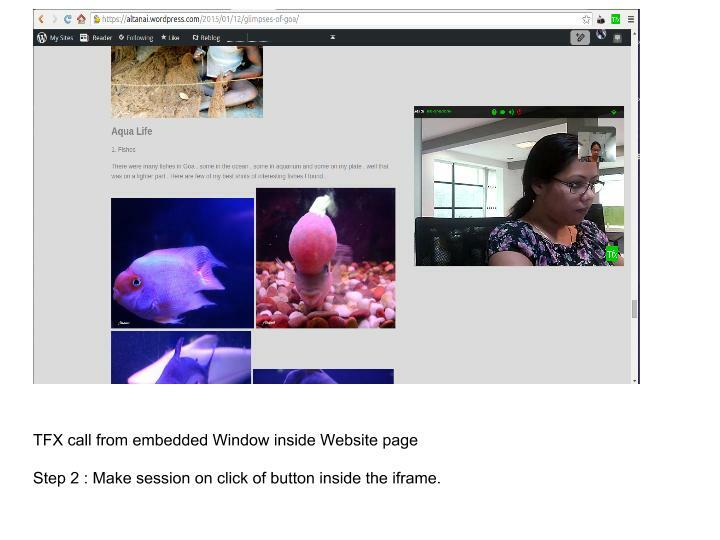 As the title of this article suggests I am going to pen my attempts of streaming / broadcasting Live Video WebRTC call to non WebRTC supported browsers and media players such as VLC , ffplay , default video player in Linux etc . 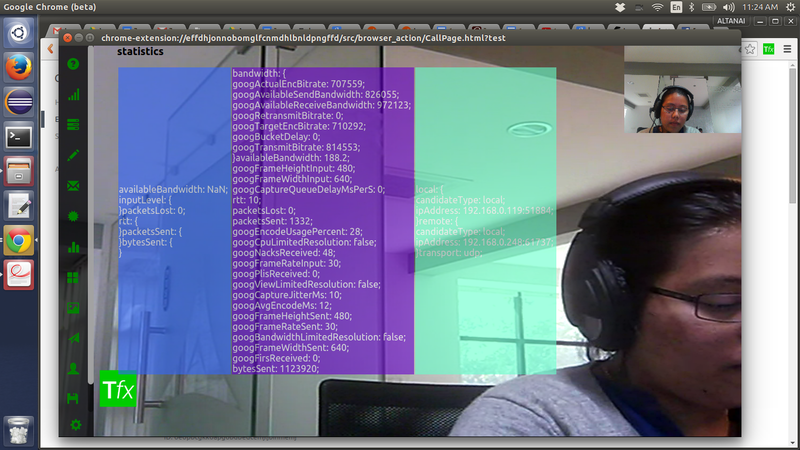 I am currently attempting to do this by making my own MP4 engine from WebRTC feed . However I am sharing my past experiments in hope of helping someone whose objective is not the same as mine and might get some help from these threads . 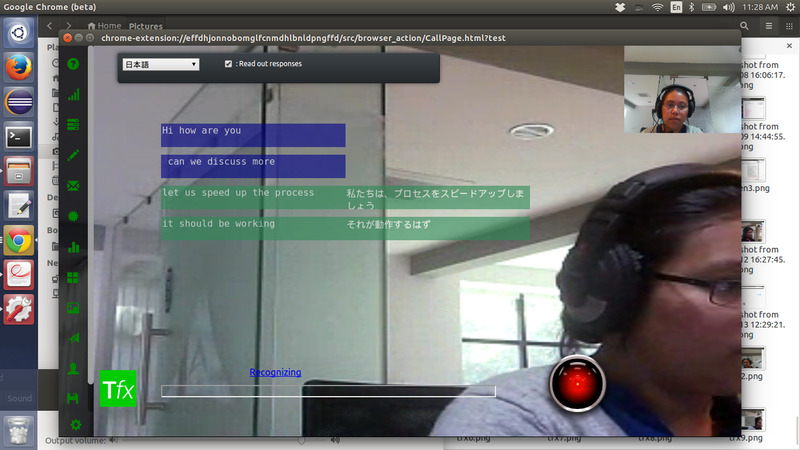 It uses API fromwebrtc-experiment.com. The broadcast is in one direction only where the viewrs are never asked for their mic / webcam permission . The recorder can only either record video or audio file at a time . problem : dissecting the live video into small the files and appending to each other on reception is an expensive , time and resource consuming process . Also involves heavy buffering and other problems pertaining to real-time streaming . 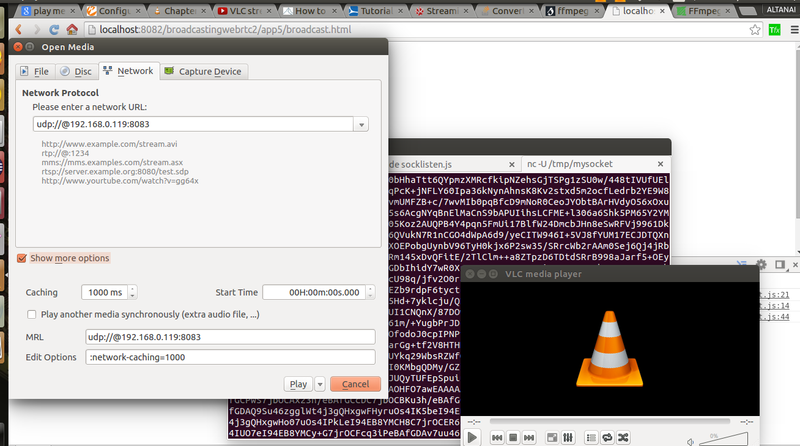 Attempt 2.3: Send the recorded chunks of webm to a port on linux server socket . Use socket programming to pick up these individual webm files and convert to H264 format so that they can be send to a media server. So I haven’t written anything worthy in a while , just published some posts that were lying around in my drafts . Here I write about the main thing . some thing awesome that I was trying to accomplish in the last quarter . TFX Sessions is a plug and play platform for VoIP ( voice over IP ) scenarios. Intrinsically it is a very lightweight API package and shipped in form of a Chrome Extension . It is a turn-key solution when parties want instant audio/audio communication without any sign-in ,plugin installation or additional downloads . Additionally TFX Sessions is packaged with some interesting plugins which enable the communicating parties to get the interactive and immersive experience as in a face to face meeting. There is a market requirement of making a utterly simple WebRTC API that has everything needed to build bigger aggregate projects but the available solutions are either just to basic or much too complex . So I initially started writing my own getuserMedia APIs, but left it midway and picked up simplewebrtc API instead for want of time .Then I focused on the main crux of the project which was the widget API and ease of integration. How Does TFX Sessions Work ? A Widget is essentially any web project that wants communication over webrtc channel . 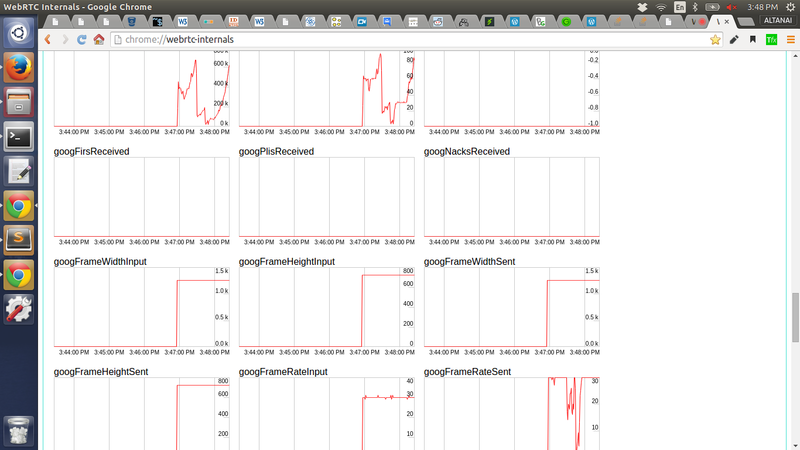 Once the platform is ready I have core APIs , widgets and signalling server. Then came up the subject of enterprise internet blocking my communication stream . Time for TURN ( Coturn in my case ). Inhouse master library for TangoFX. 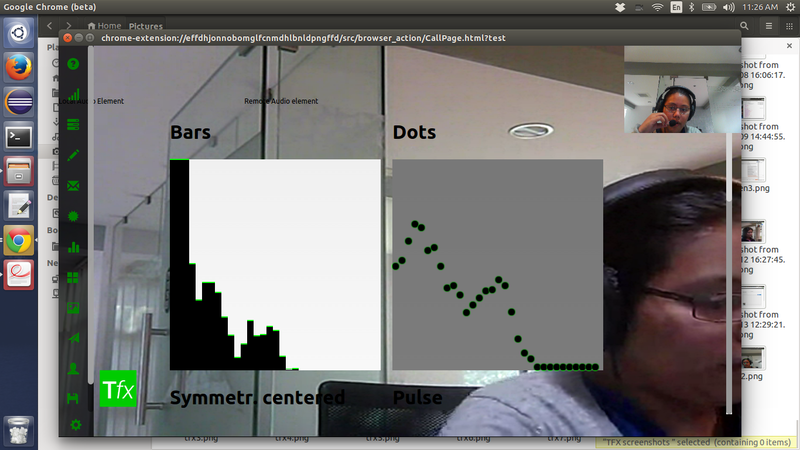 Makes the TFX sessions platform .Masks the low level webrtc and socketio functions . Provides simple to use handles for interesting plugins development in platform . HTML and CSS-based design templates for typography, forms, buttons, navigation and other interface components. TURN protocol based media traversal for connecting media across restricting domains ie firewalls, network policies etc . 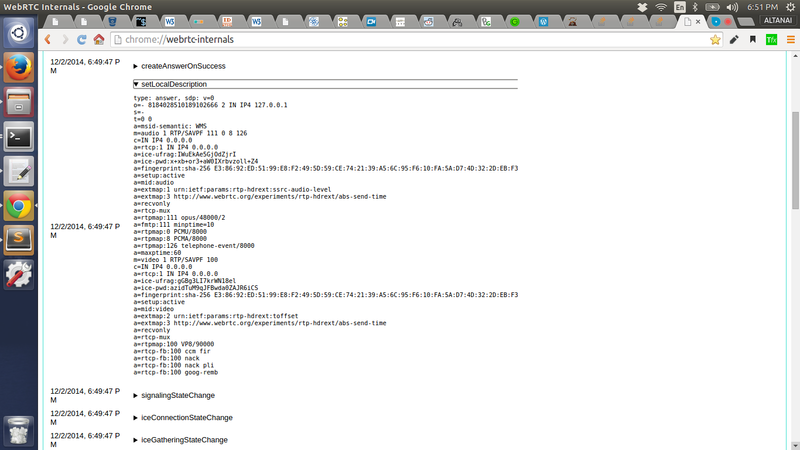 So here is the final architecture of TFX chrome extension widget based platform . The Server Side of the solution contains socket.io server for signalling , manuals and other help/support materials , HTTPS certificate and TURN server implementation for NAT . 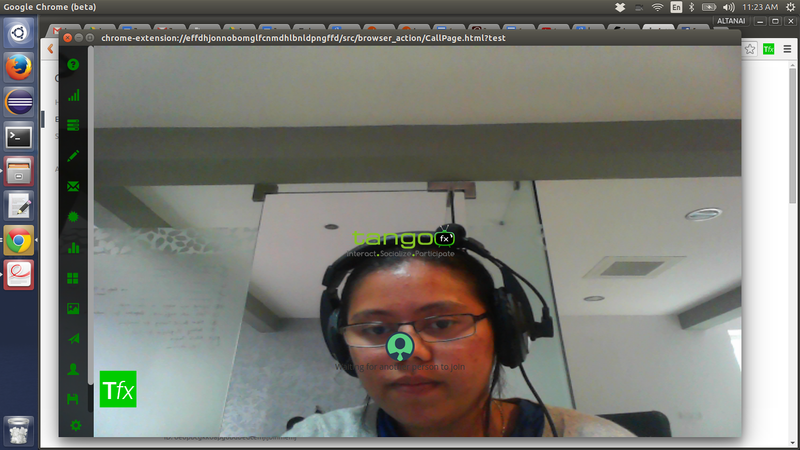 The underlying technology of TangoFX is webrtc with socket based signalling . Also it adheres to the latest standards of W3C , IETF and ITU on internet telephony . TangoFX sessions is extremely scalable and flexible due to the abstraction between communication and service development. 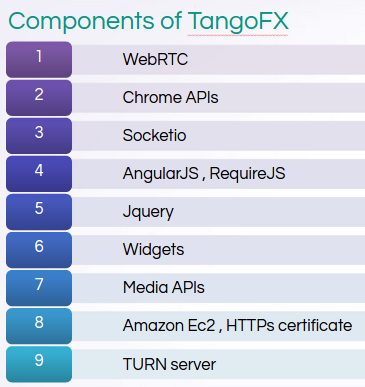 This make it a piece of cake for any web developer using TangoFX interface to add his/ her own service easily and quickly without diving into the nitty gritties . 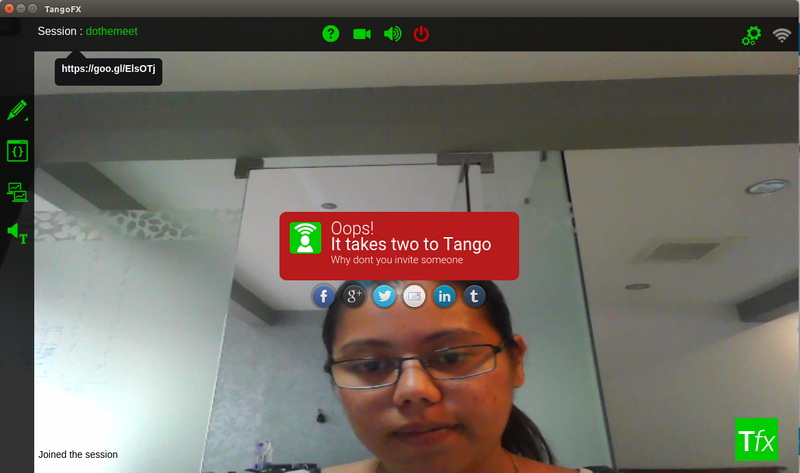 TangoFX is currently packaged in a chrome extension supported on chrome browser on desktop operating system like window , mac , linux etc . The call is private to both the parties as it is peer-to-peer meaning that the media / information exchanged by the parties over TangoFX does not pass through an intervening server as in other existing internet calling solutions. TangoFX is very adaptive to slow internet and can be used across all kinds of networks such as corporate to public without being affected by firewall or restricting policies . Alright so that’s there . Tada the platform is alive and kicking . Right now in beta stage however . Intensive testing going on here . However here are some screenshots that are from my own developer version . Note that the widgets described above have been made with the help of third party APIs. 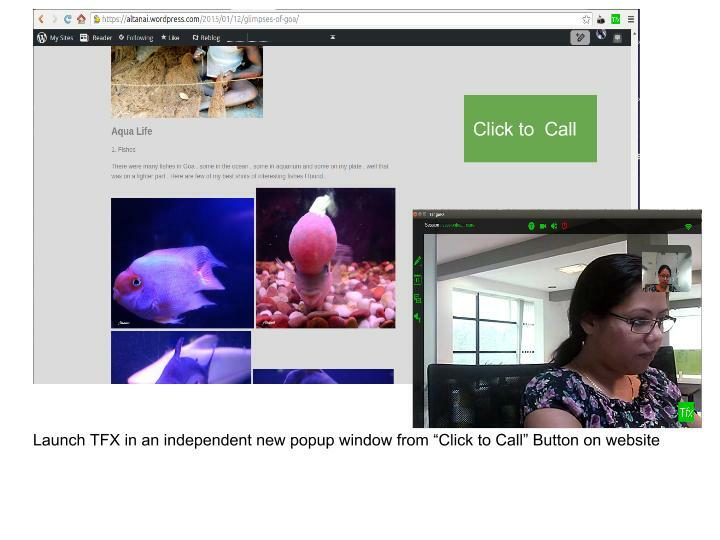 We saw that TFX is WebRTC based communication and collaboration solution .It is build on Open standards from w3c , IETF , Google etc. Scalable and customizable. Immersive and interactive experience . Easy to build widgets framework using TangoFX APIs. 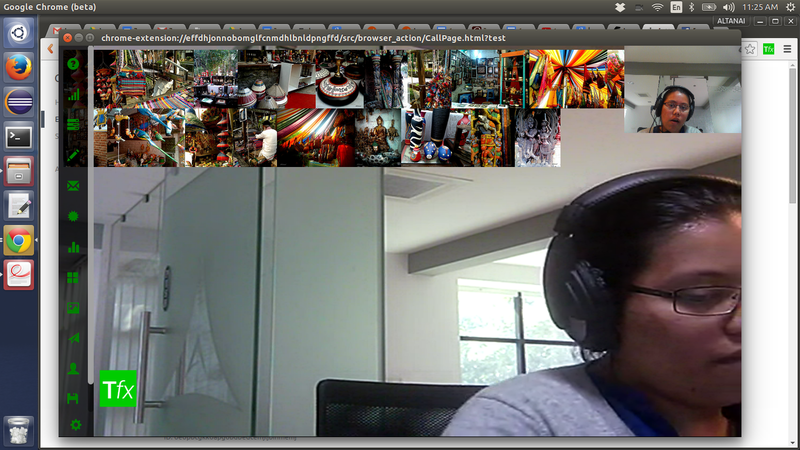 Pick any WebRTC API and run its demos . It works kool . 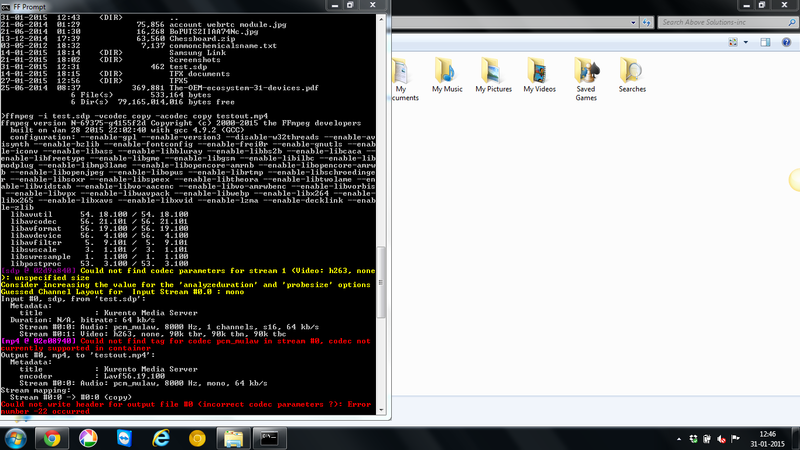 download and run in local-machine with nodejs server . Awesome . Everything is Awesome !! 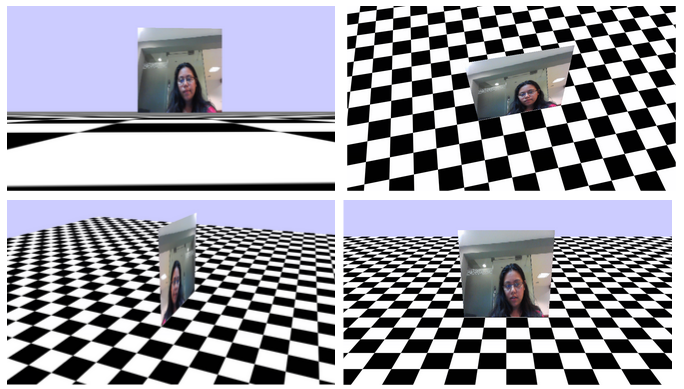 You can learn more about some WS based WebRTC API here: https://altanaitelecom.wordpress.com/2014/12/02/current-state-of-webrtc/. 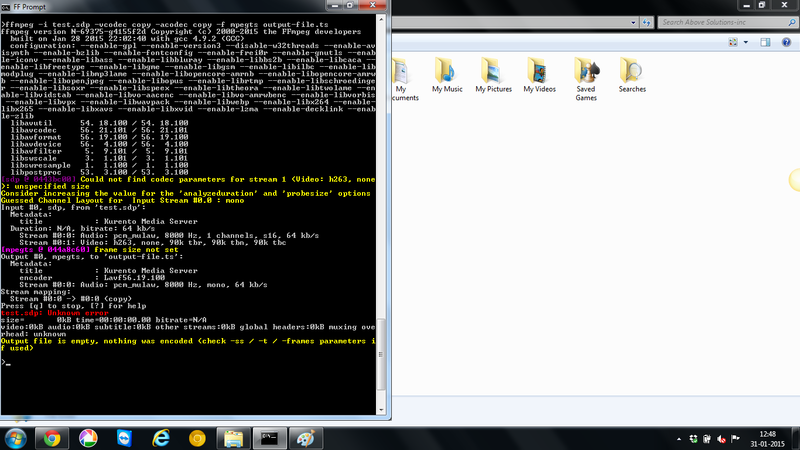 Now what good is it doing to anyone if its running locally on my machine with addresses like localhost and 127.0.0.1 . Let us put it on the cloud and at-least let my colleague / friends enjoy it . 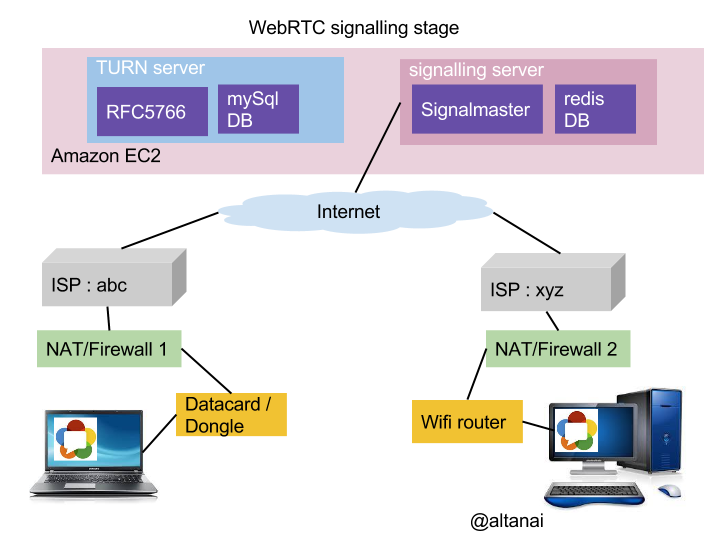 Cloud Web Server and Nodejs signalling server . 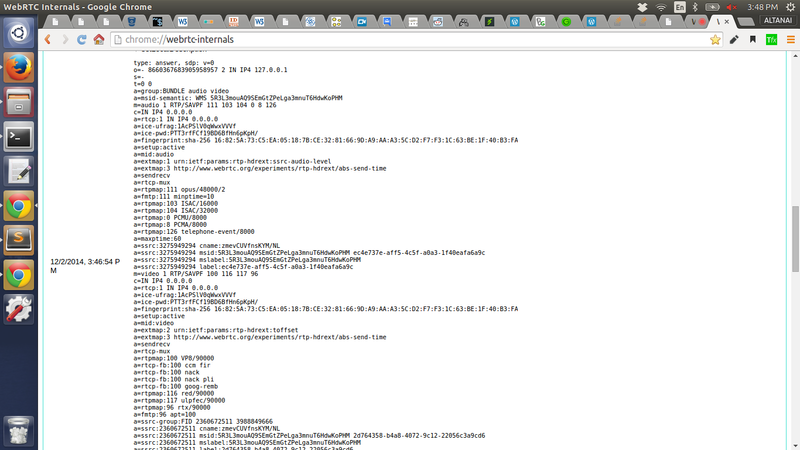 That is okay use amazon’s Ec2. works for most of the people most of the time . Here is when we discover the issues of ICE ( Interactive Connectivity Establishment ) I have mentioned this in detail on the post NAT Traversal using STUN and TURN . 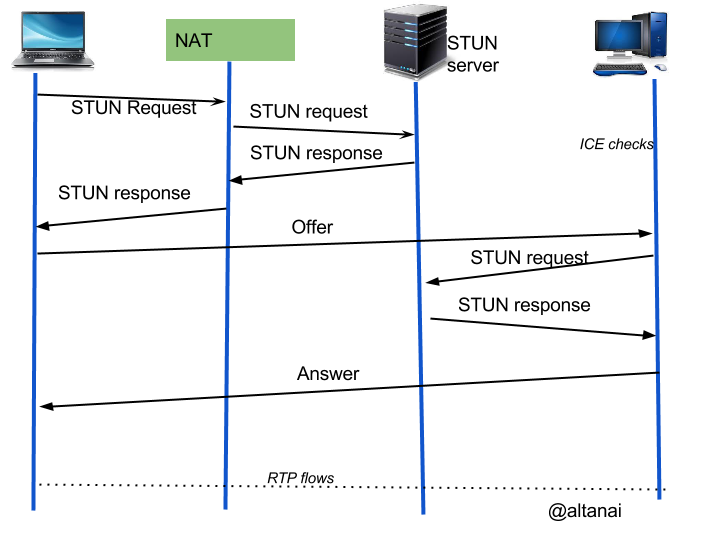 Briefly ICE helps us in coping up with NAT ( Network Address Traversal and Firewalls ) . Note that this step only works if everyone you want to connect to is either on same intranet or on public internet without and UDP blocks / firewalls / restriction . 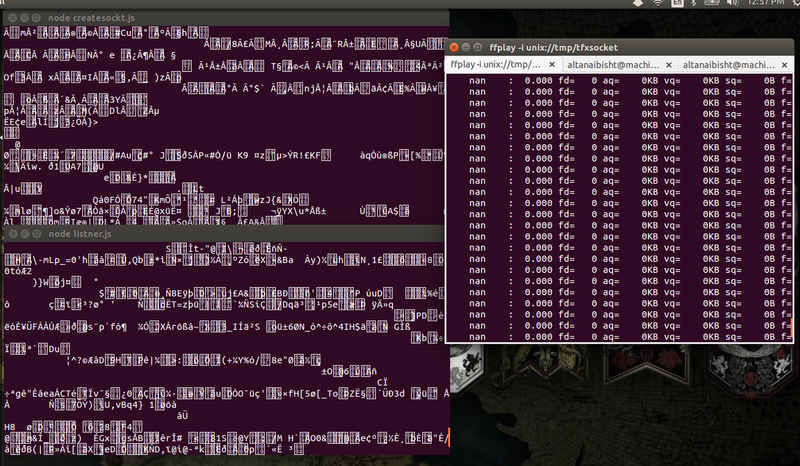 The Signalling is establishes using a STUN server for address mapping and NAT . 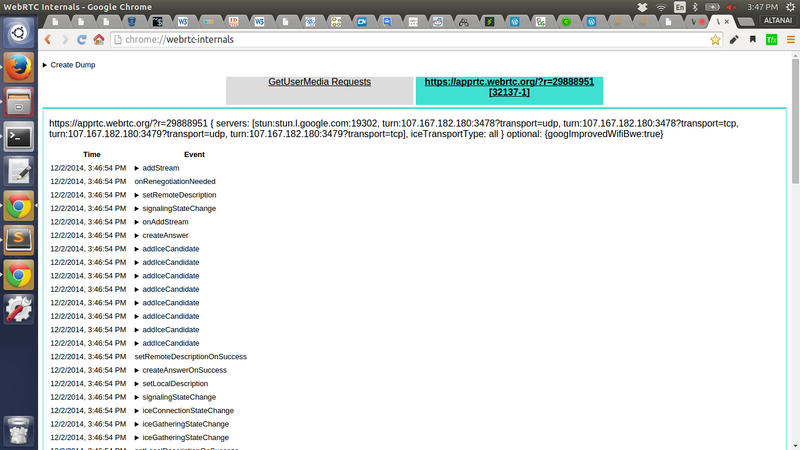 One can use google’s default STUN server stun.l.google.com:19302. Easy and free . There you go everything is looking good from here now , both peers join the session successfully , but the video may appear black . This is so because the media under most inter network conditions fails to flow between private and public network . This is where step 3 comes into picture ie using a TURN ( media relay ) server . Sure the architecture I have setup is bound to work everywhere where the network is open and public . However error in connectivity , errors in console , blank video are the problems that might appear when one tries to connect from private to public connections. To bypass network firewalls , corporate net policies , UDP blocks and filters we require a TURN server which help in media traversal across different networks in a relay mechanism. 2. Build your own TURN server with RFC 5766 ( COTURN ) , or rather easier would be to use any open source TURN server code available in Github. 3. Pay and use a commercial TURN service provider or you can even use their trail version to see if things work out for you ( example Xirsys) . 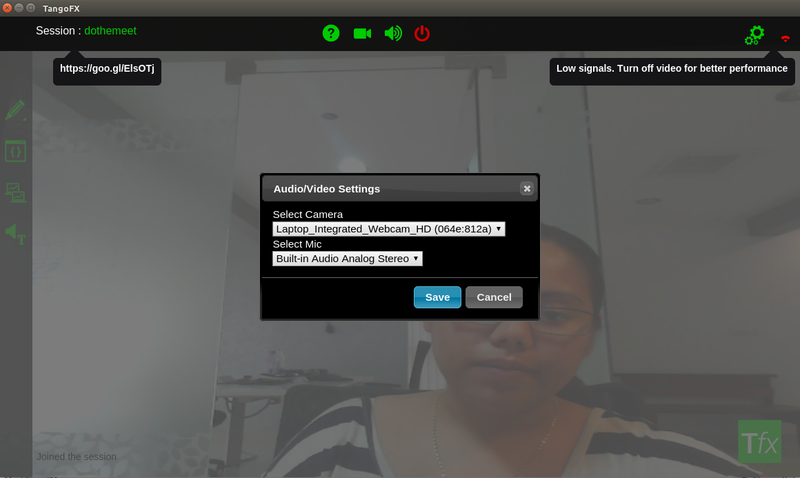 There we go , now anyone from anywhere should be able to use our WebRTC setup for making audio , video calls or just exchanging data via DataChannel ( like screen-sharing , file transfer , messages , playing games , collaborative office work etc ) . 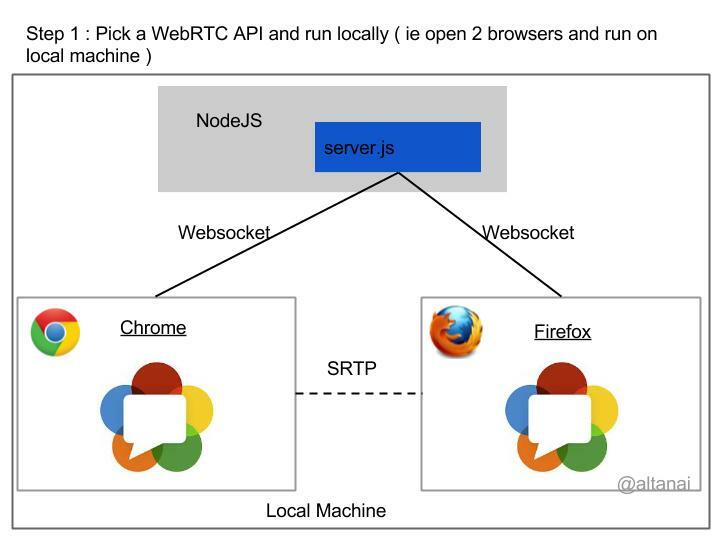 The setups covers scenarios wherein user is on office corporate network , home network , mobile network , no problem as long as he / she has a webrtc enables browser ( read Chrome , Mozilla , Opera ) . It is noteworthy that ideally voice should be traversing on TCP while video and data can go around in UDP however unless restrained the WebRTC API’s self determine the best protocol to route the packets / stream . 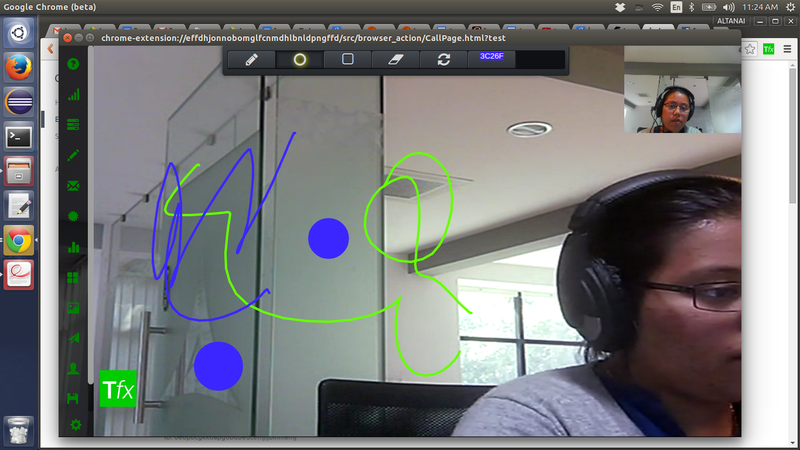 WebRTC API each using a new masking method to call the same old WebRTC API function of getusermedia and peer-connection . Few of these I will list down in this blog but no concrete stable reliable guide to setup the backbone network ( yes i am referring to Media inter conversion , relay , TURN , STUN servers ) which is left to telecom software engineer / developer to find out and configure . Instead I see many commercial service providers who claim of providing their backend for our WebRTC implementation but that in my opinion completely defeats the objective of WebRTC based communication . 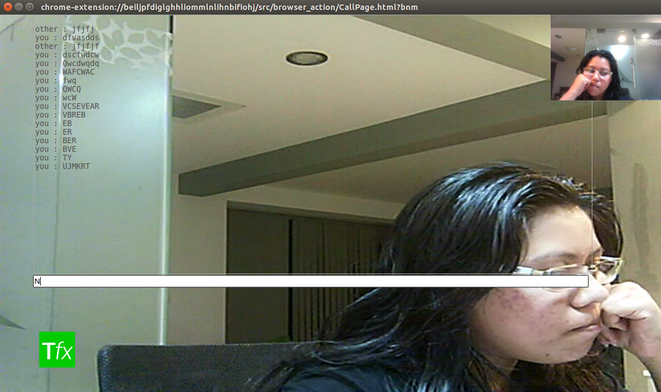 WebRTC was meant to *everything you can’t do with proprietary communication tools and networks* .